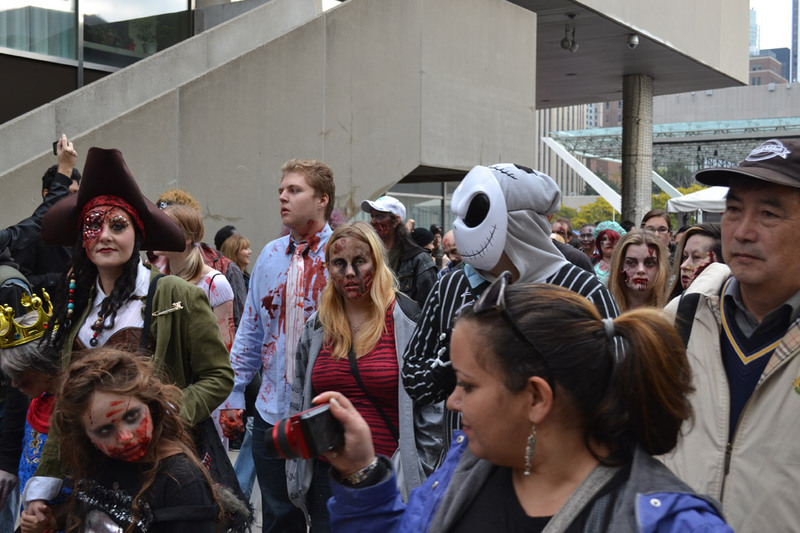 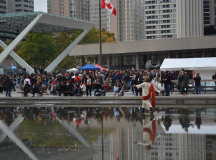 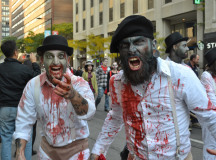 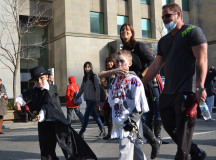 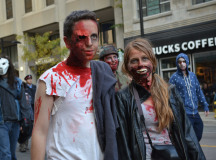 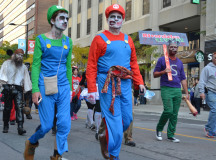 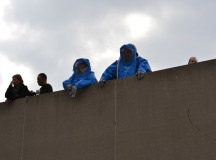 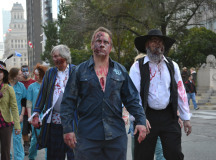 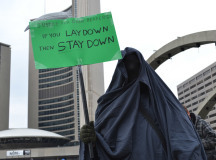 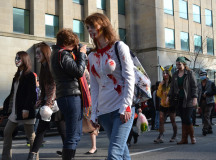 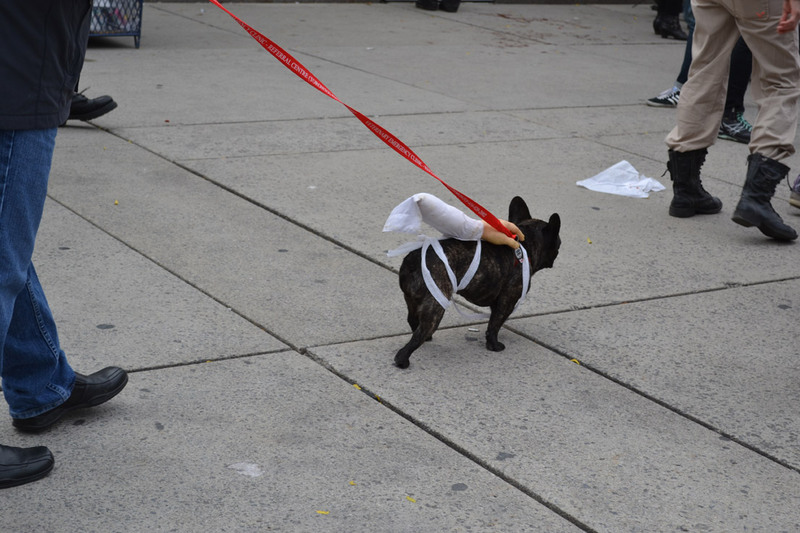 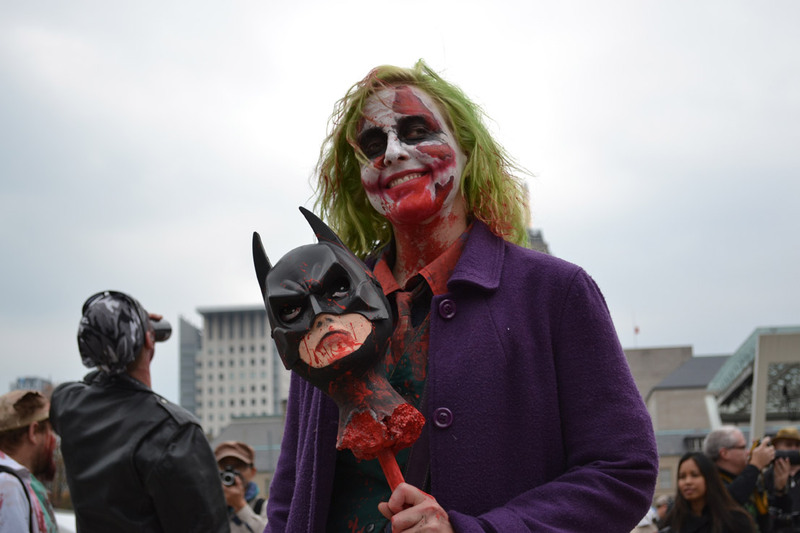 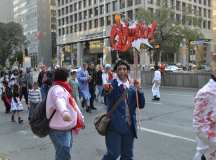 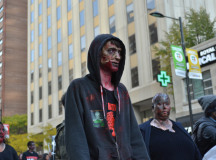 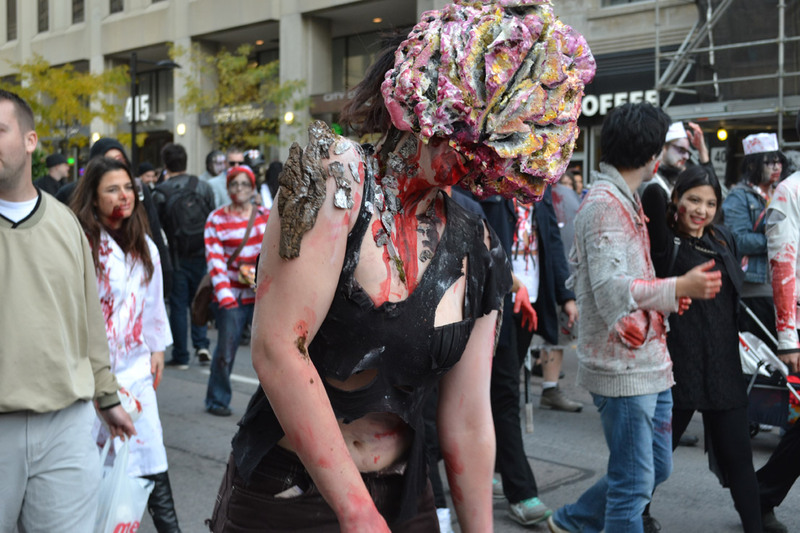 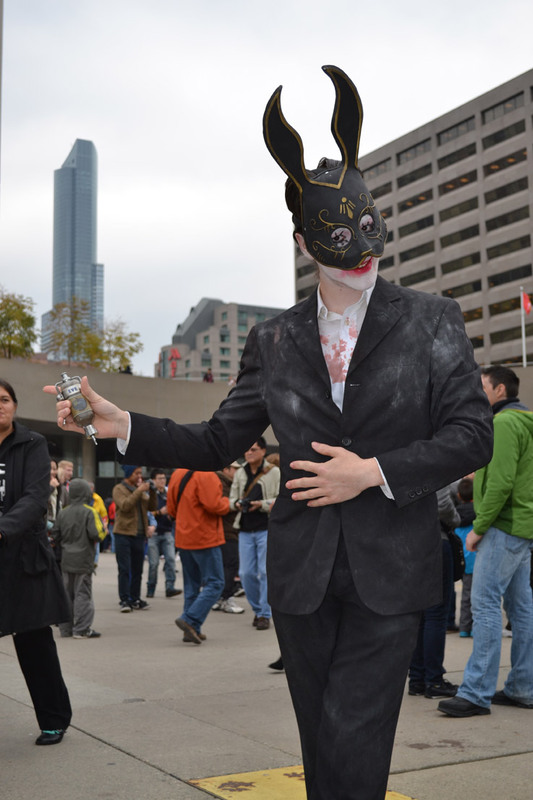 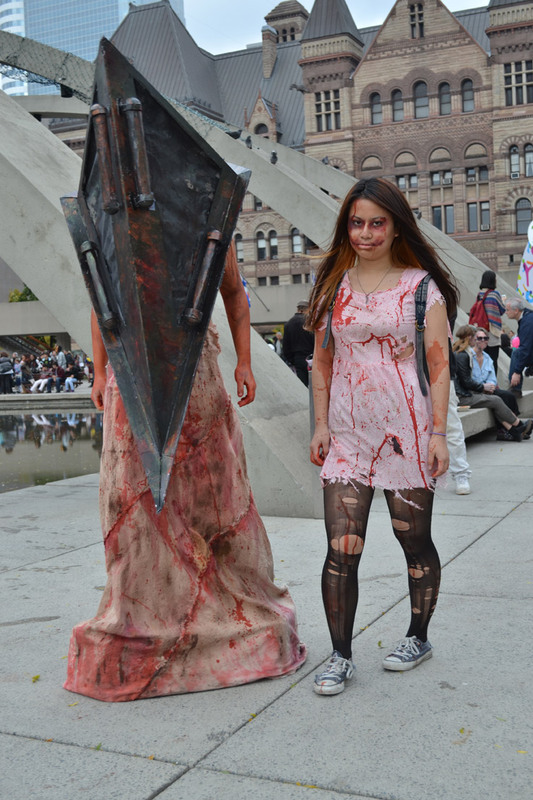 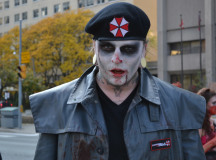 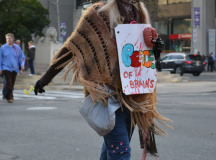 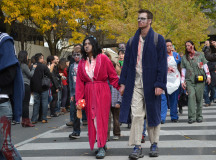 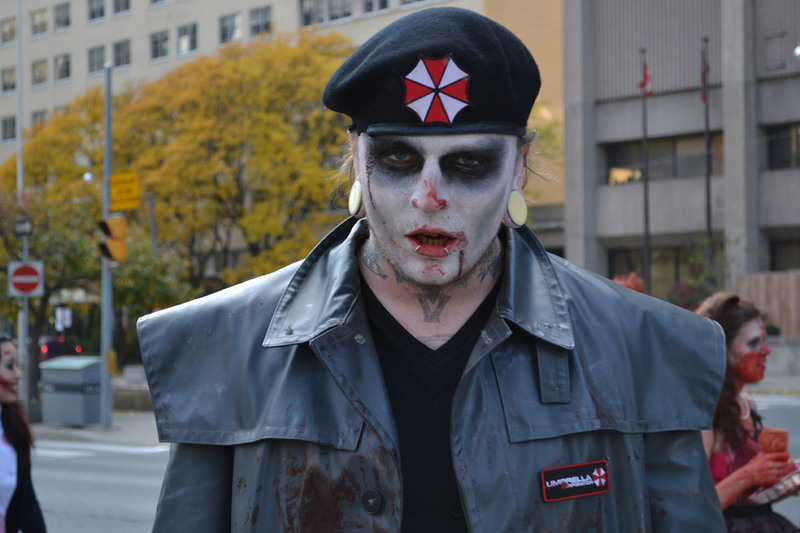 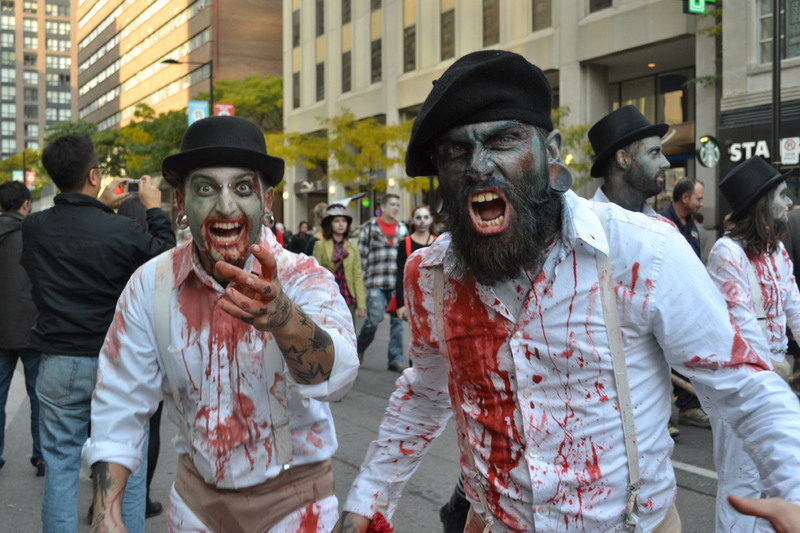 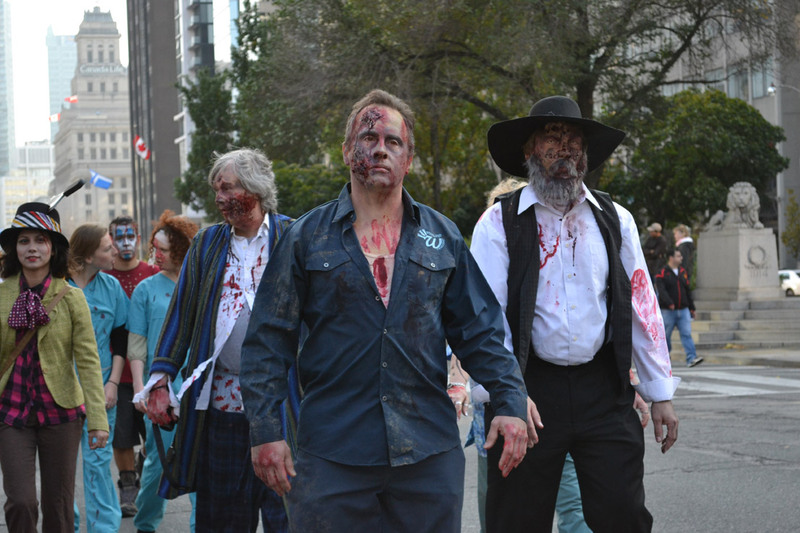 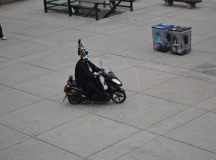 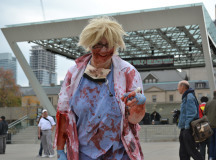 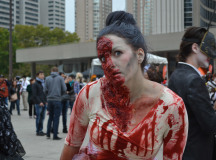 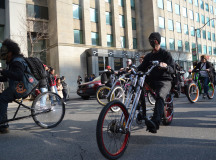 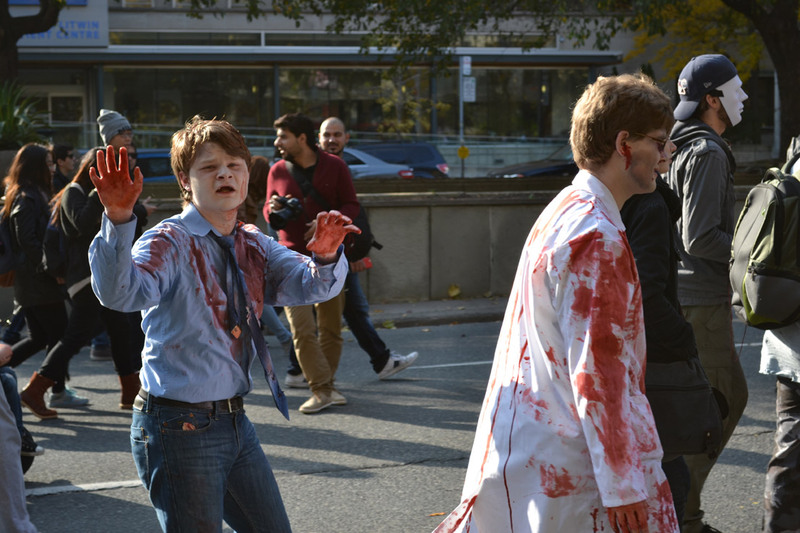 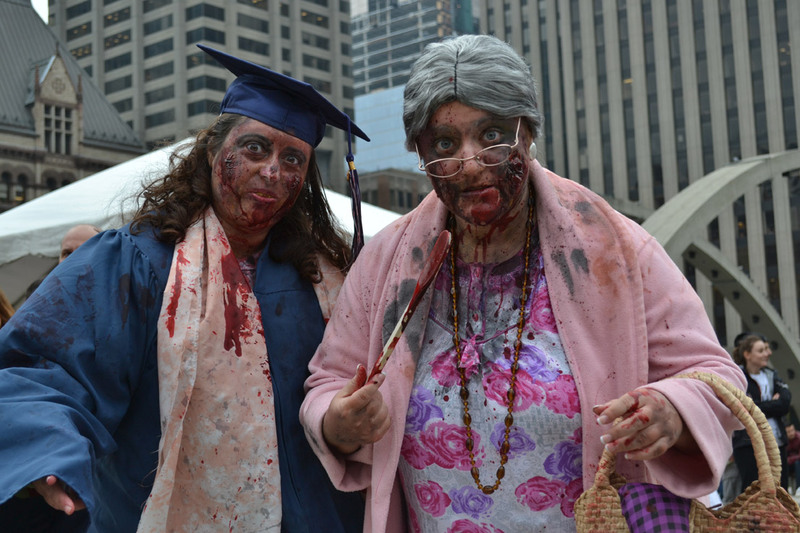 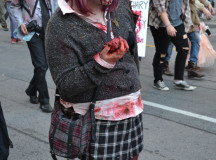 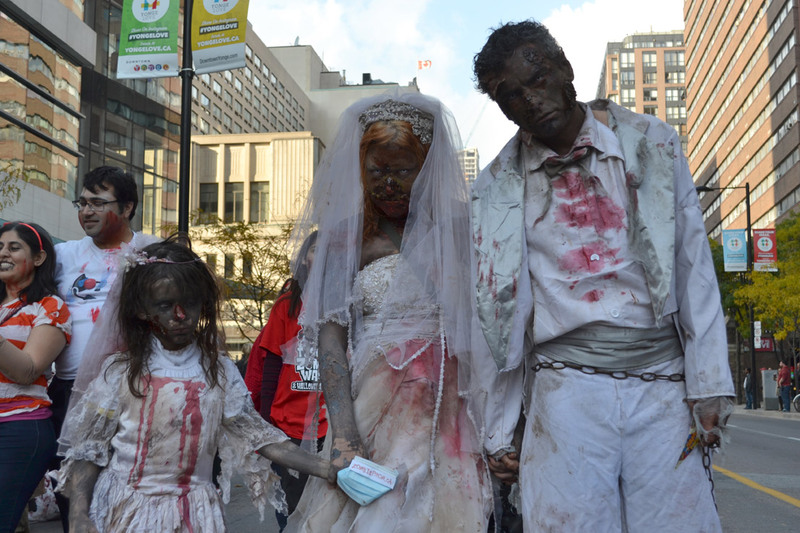 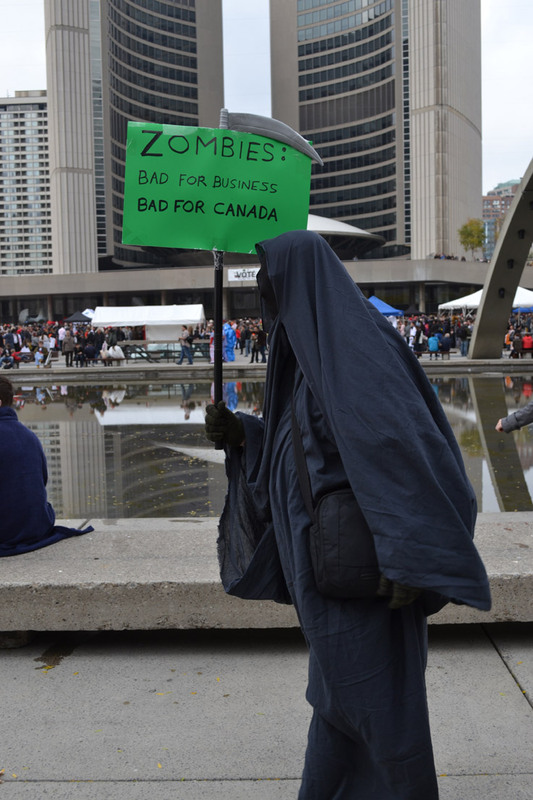 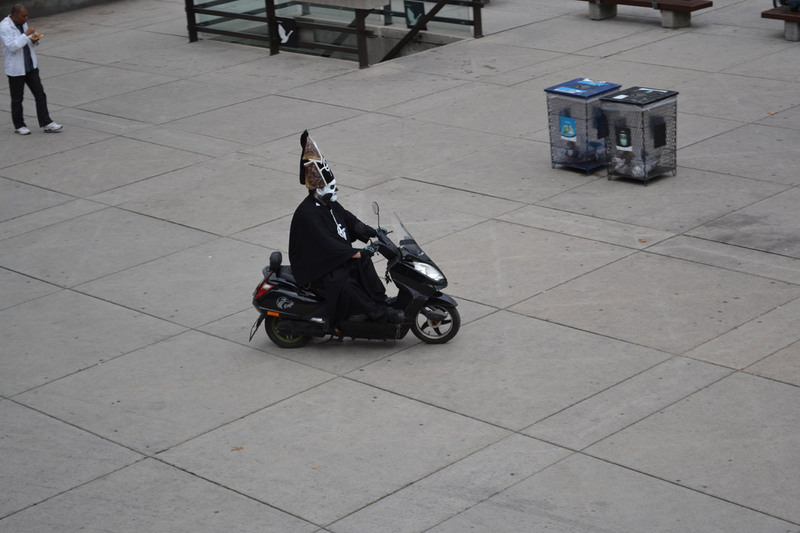 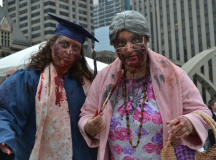 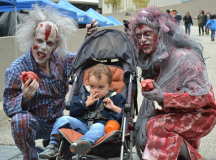 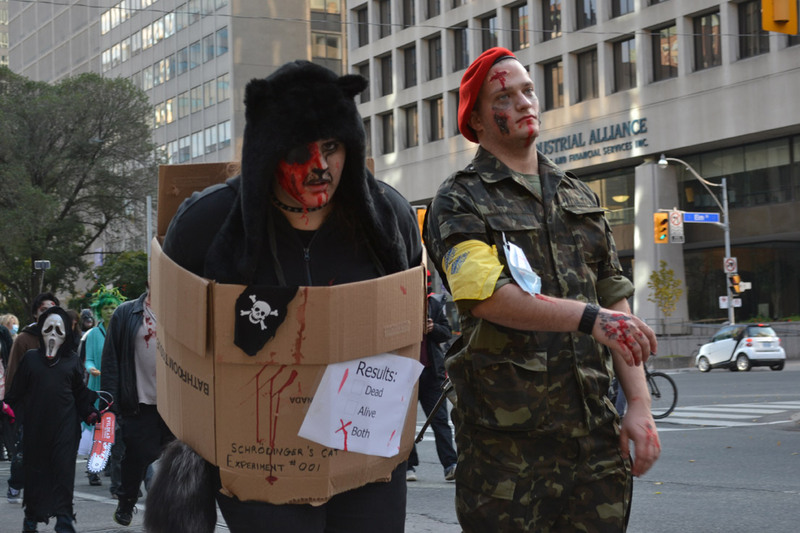 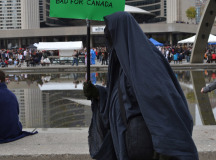 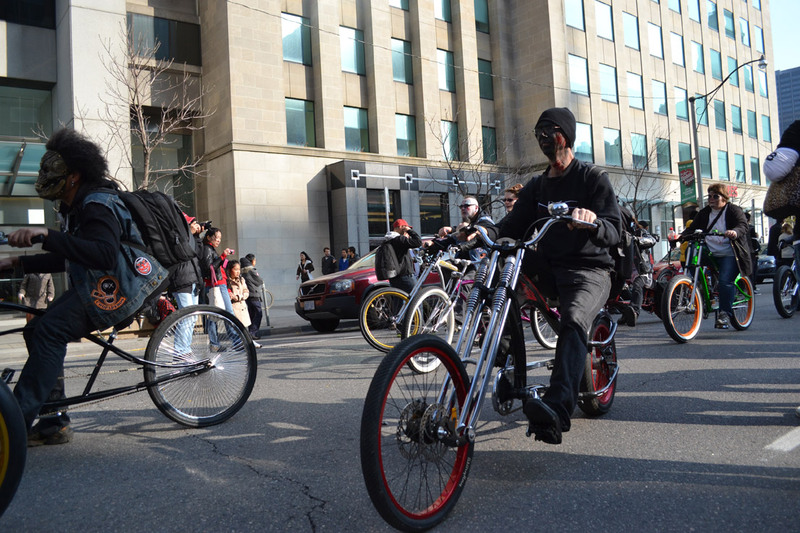 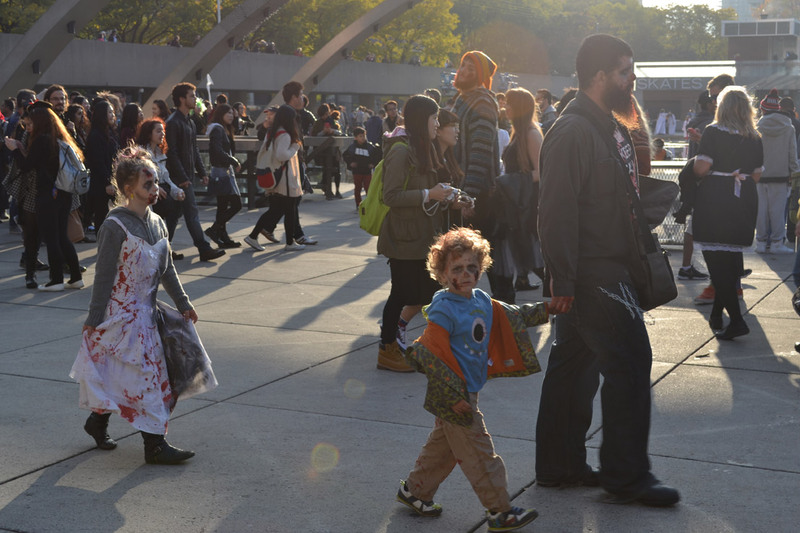 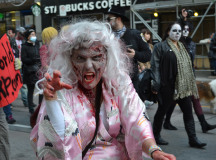 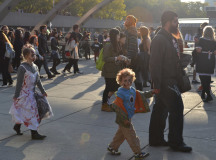 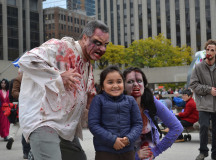 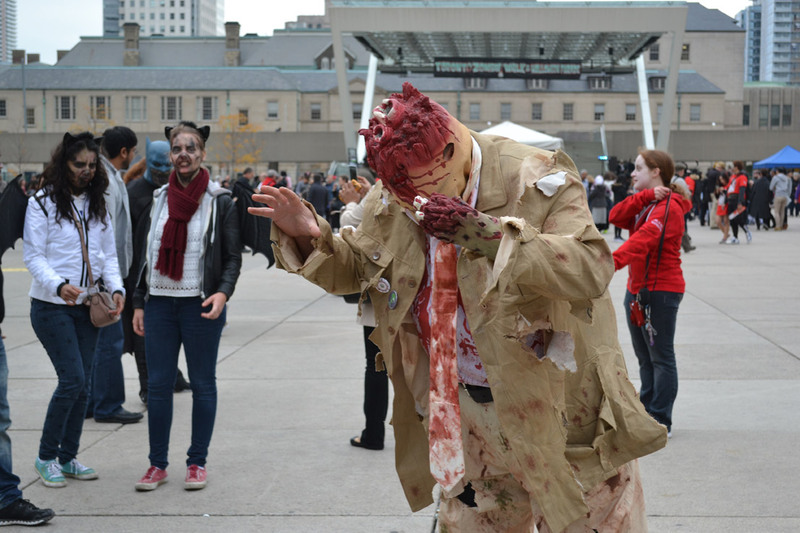 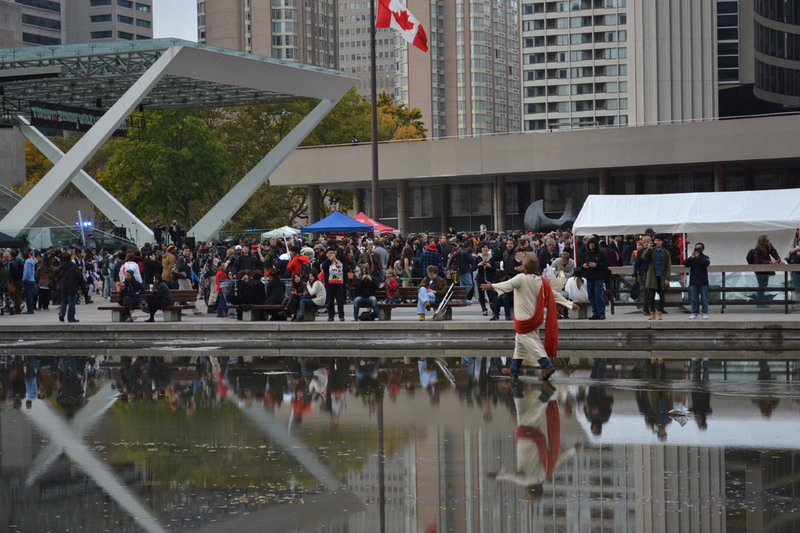 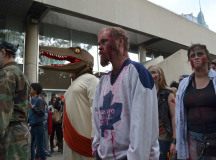 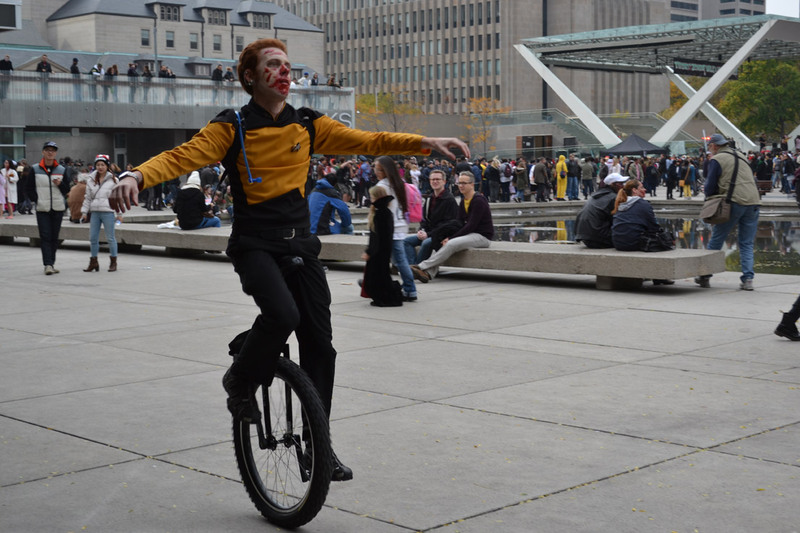 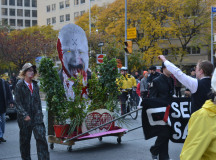 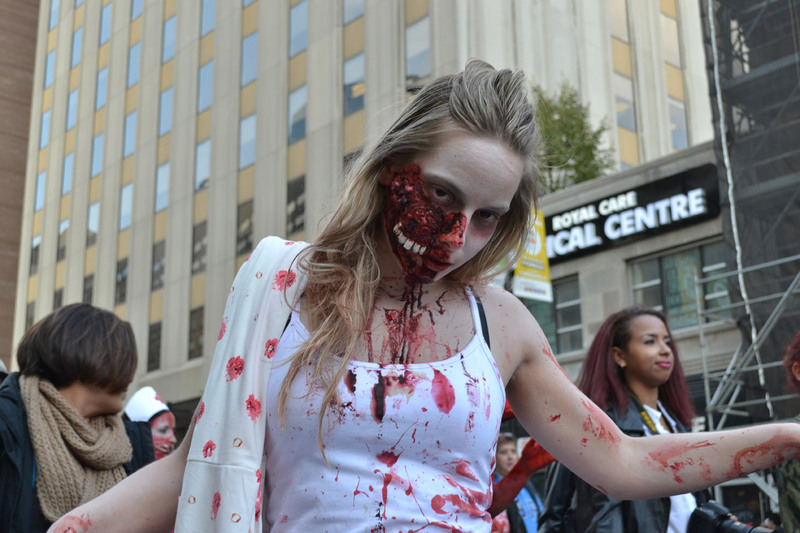 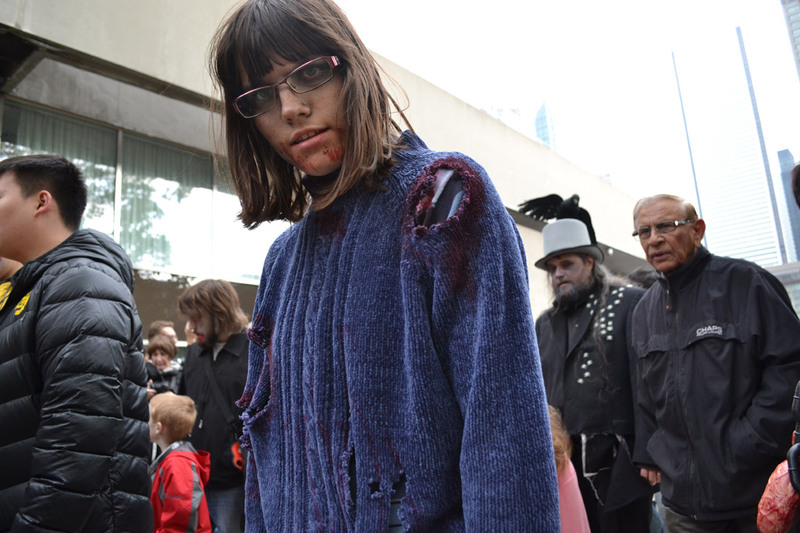 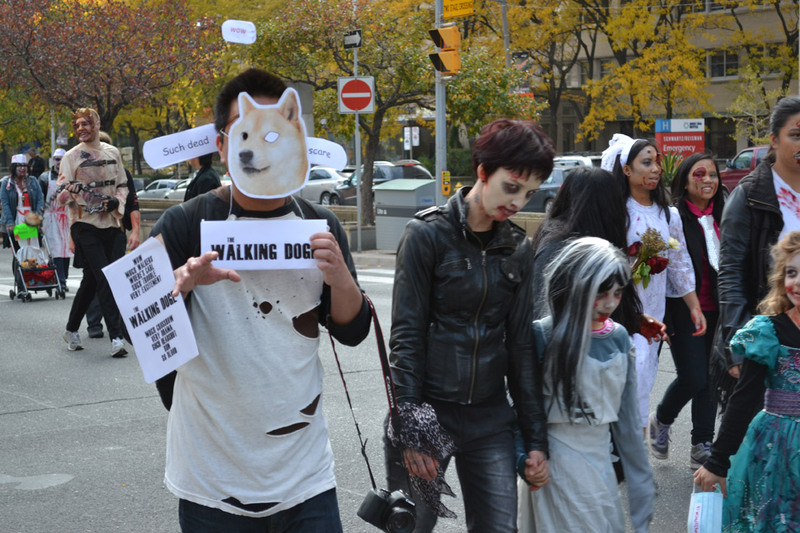 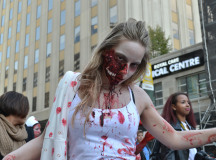 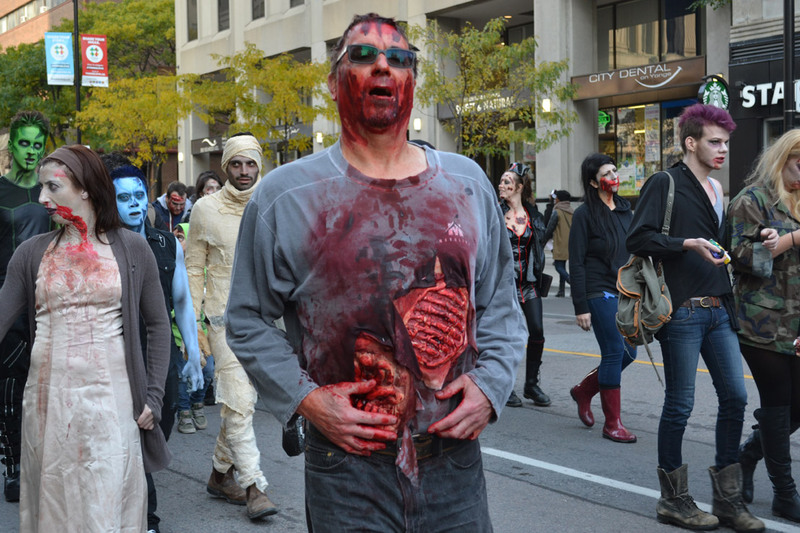 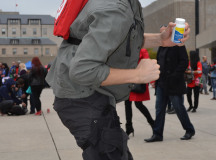 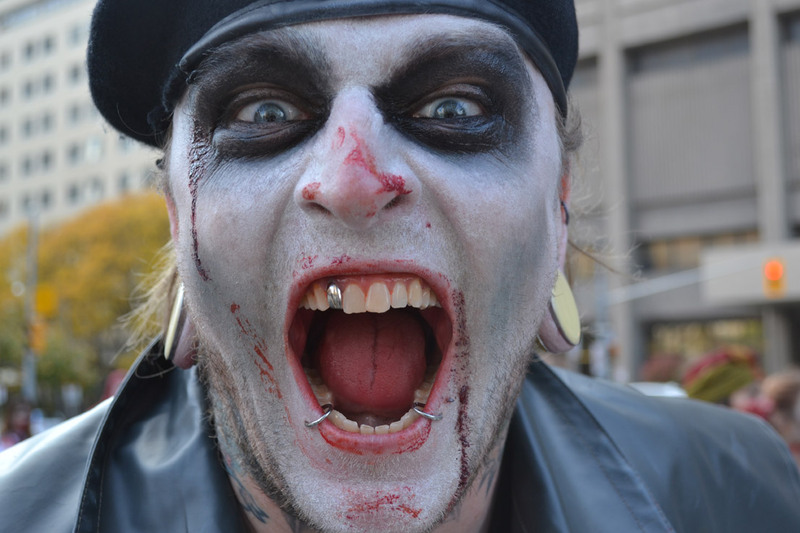 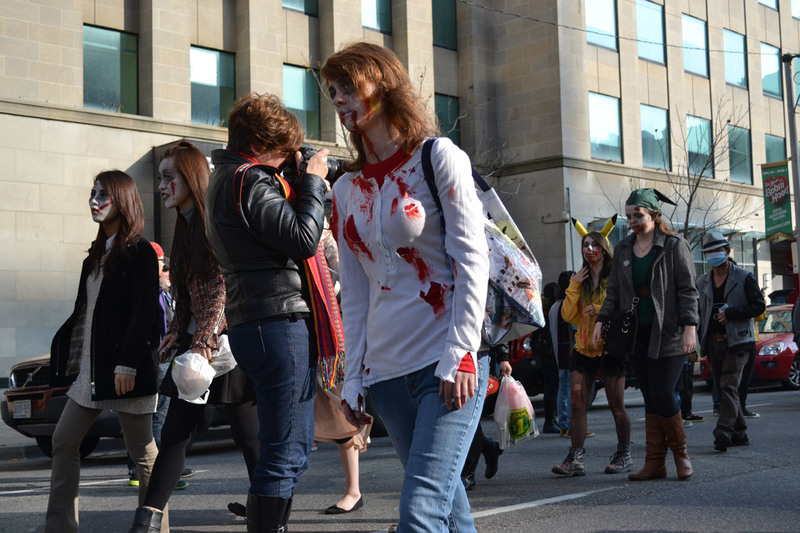 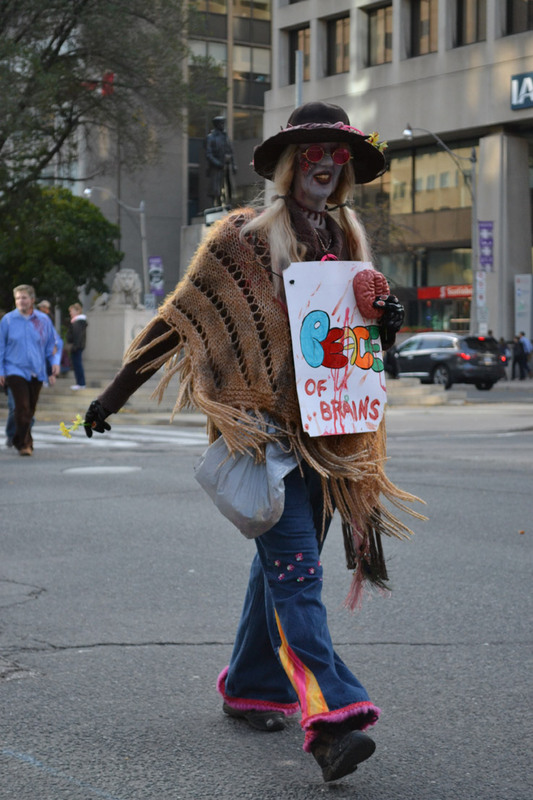 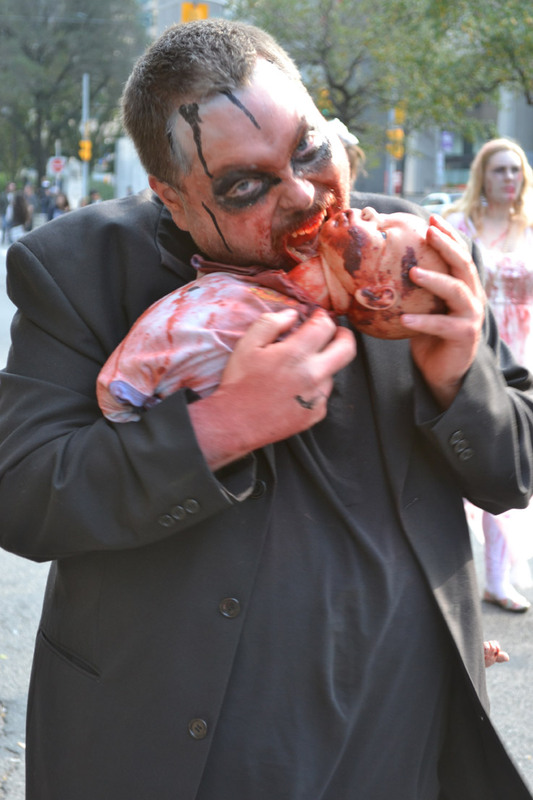 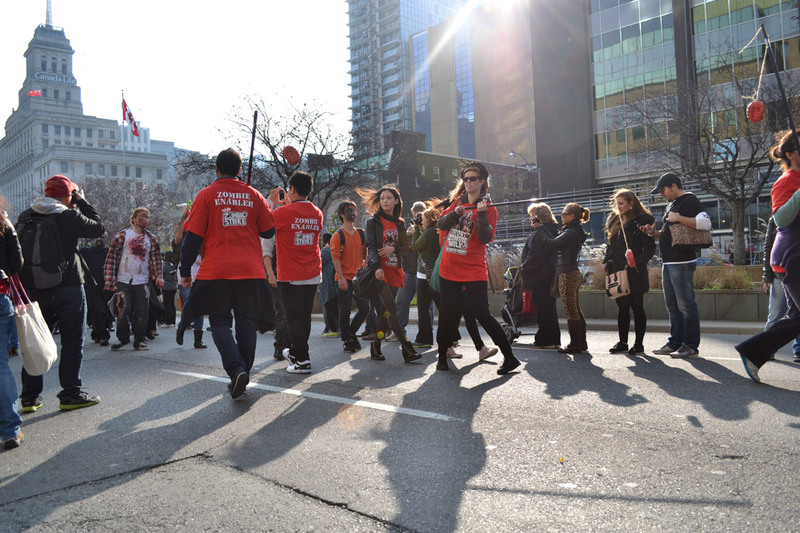 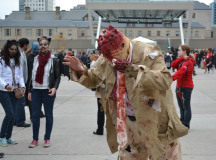 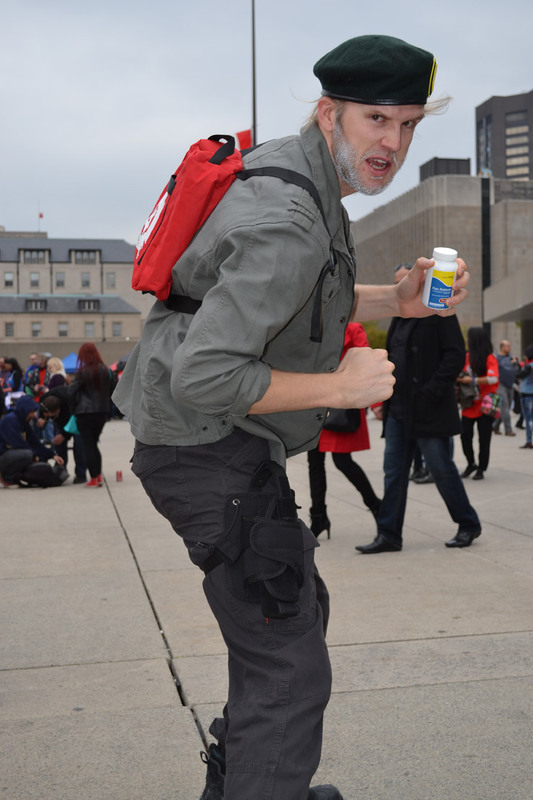 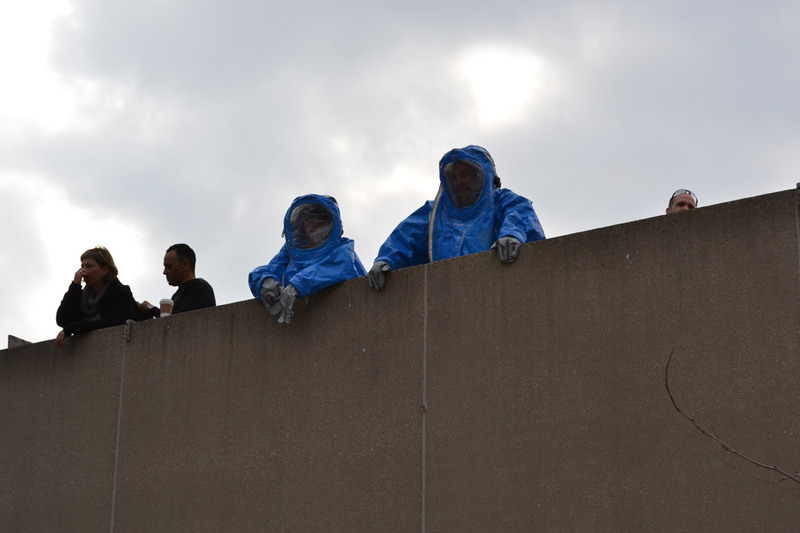 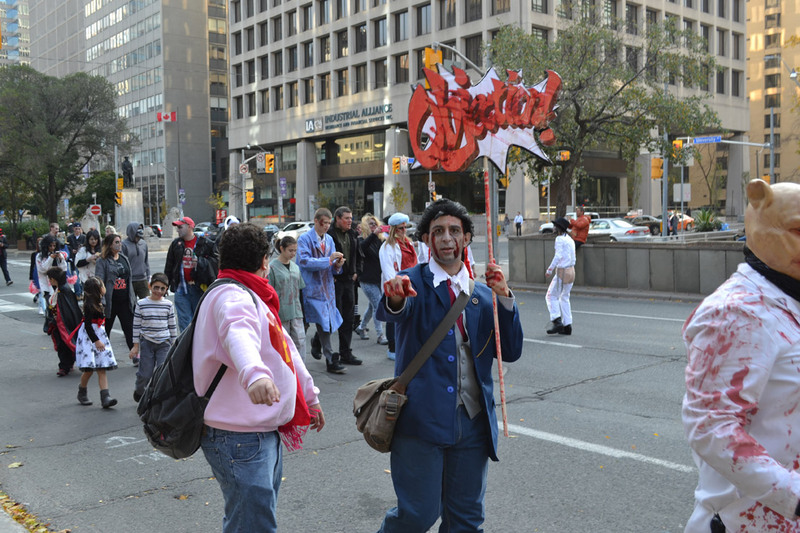 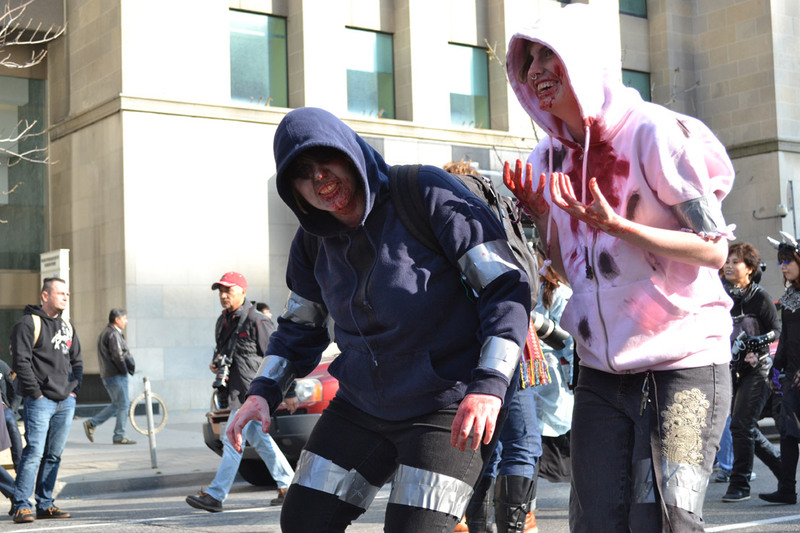 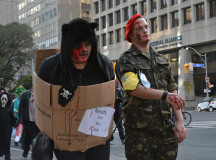 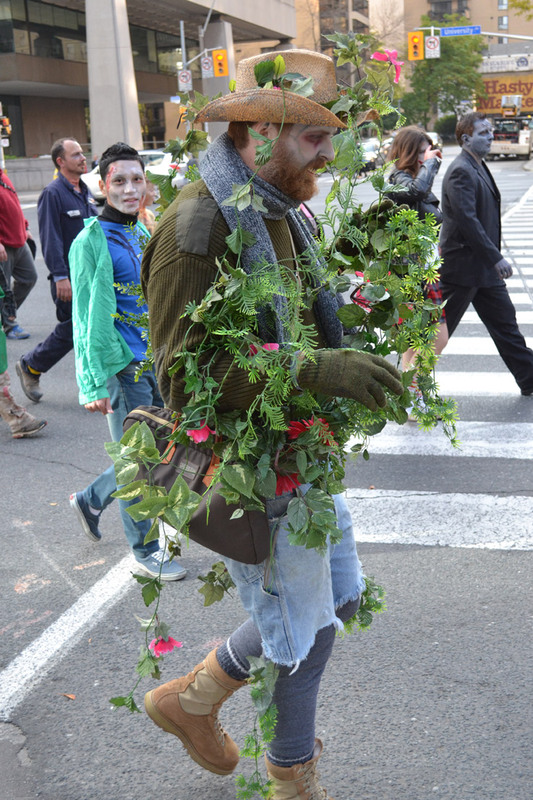 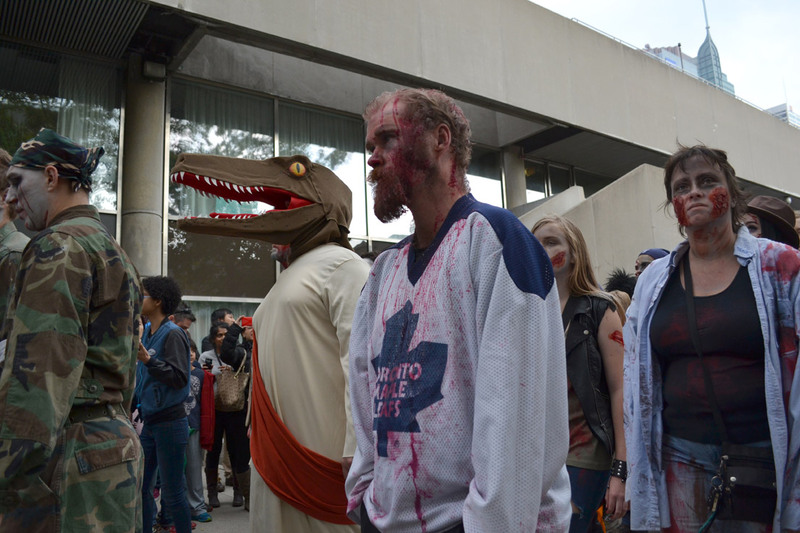 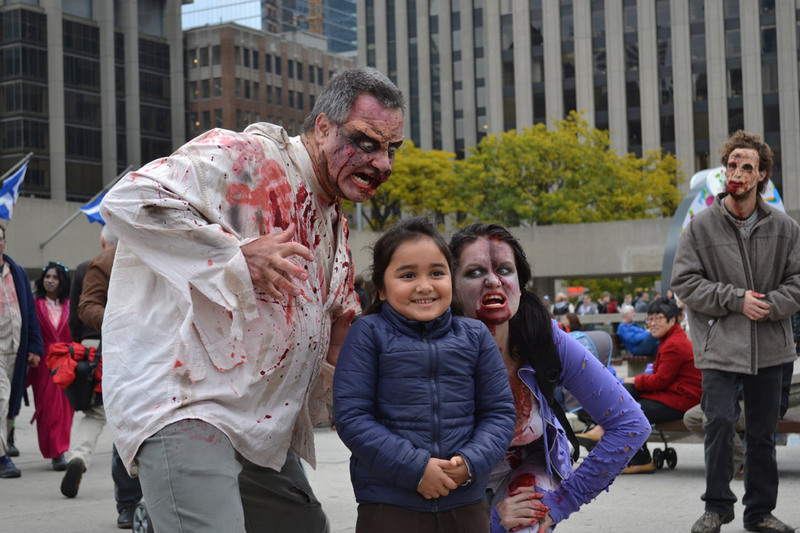 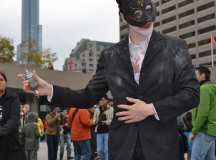 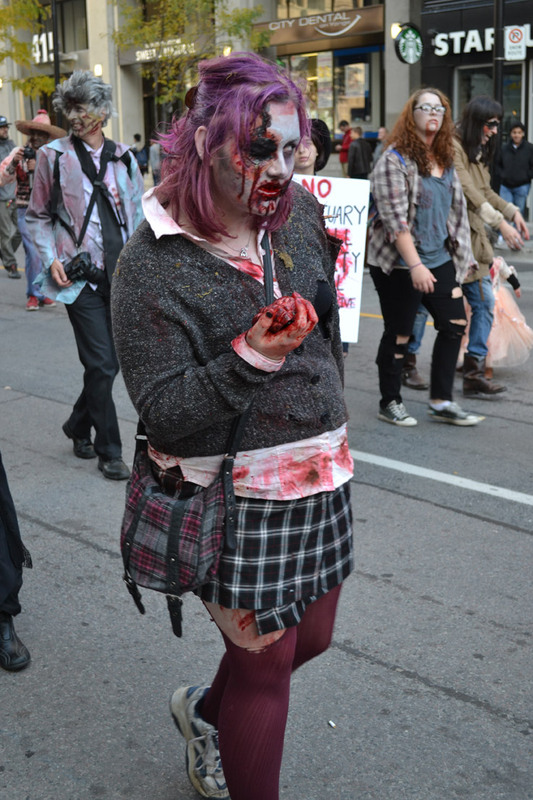 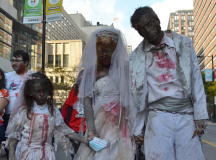 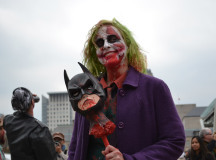 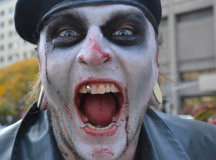 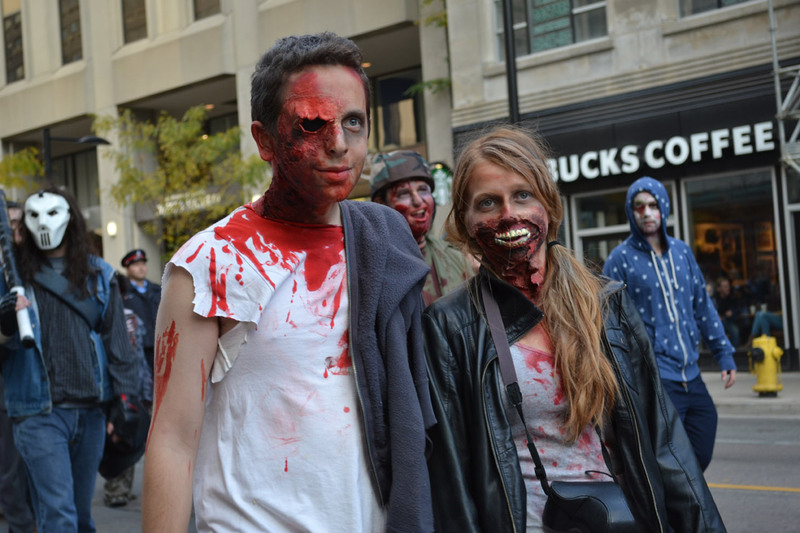 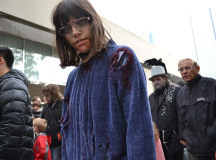 On October 25th, the undead masses piled into Nathan Phillips Square for the 12th annual Toronto Zombie Walk. 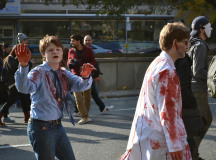 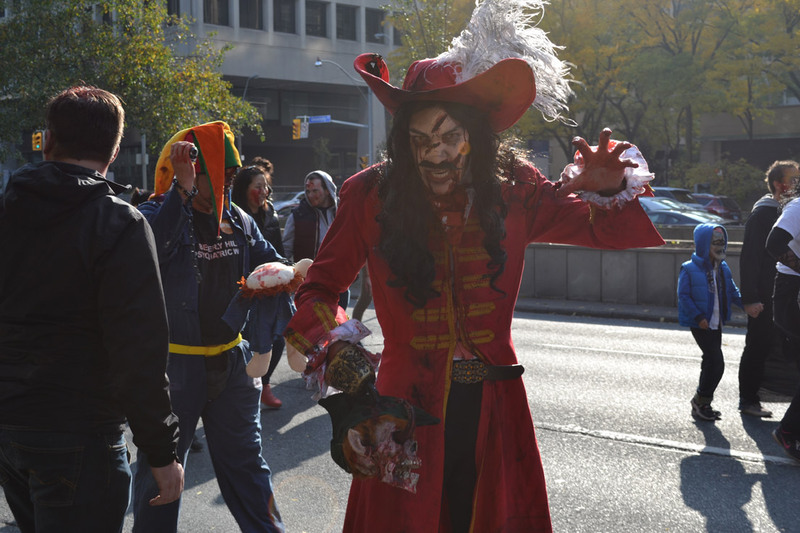 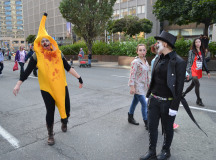 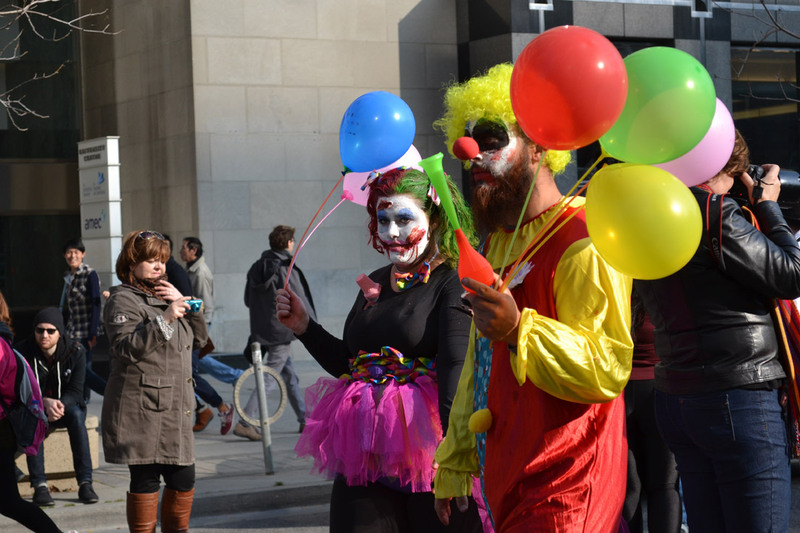 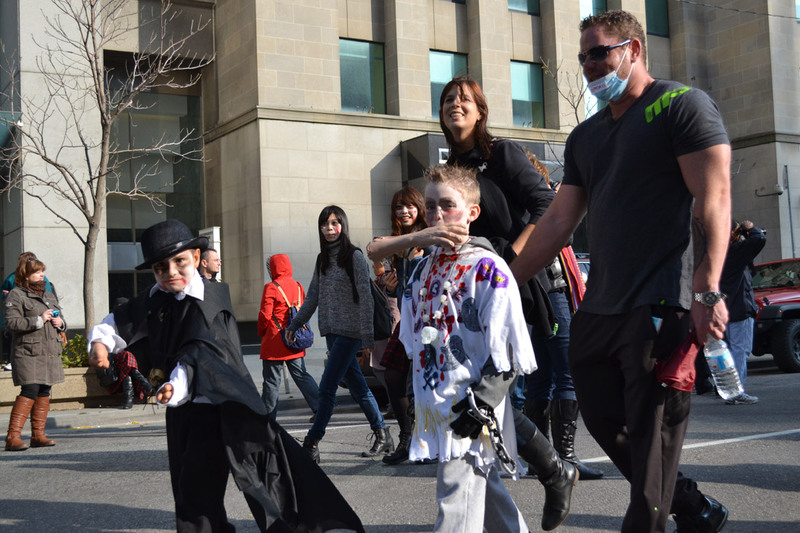 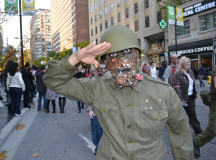 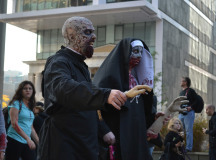 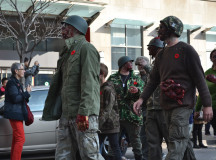 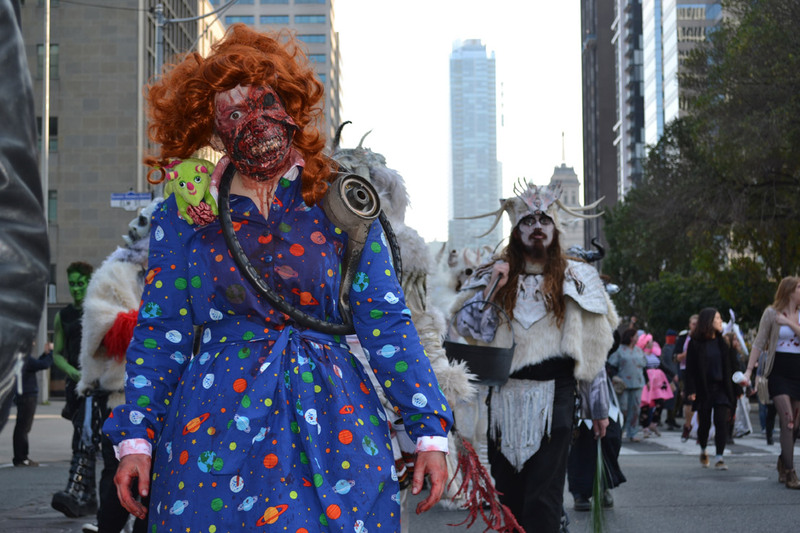 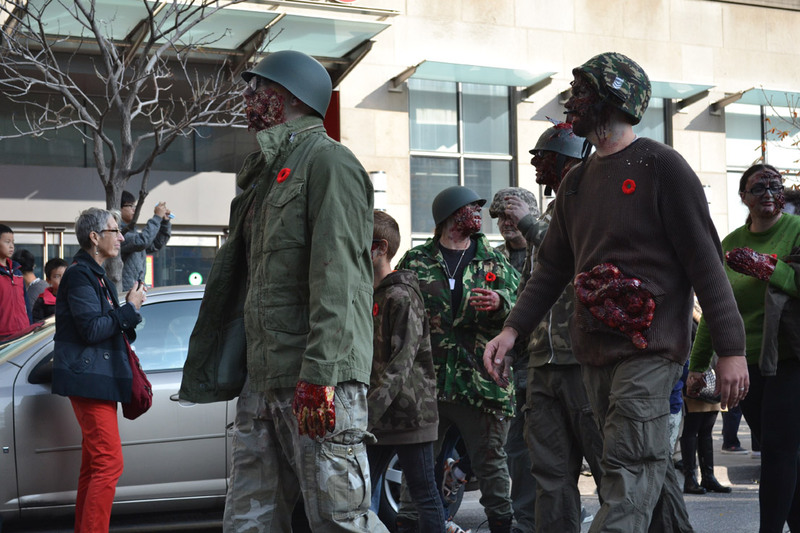 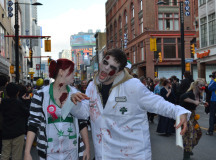 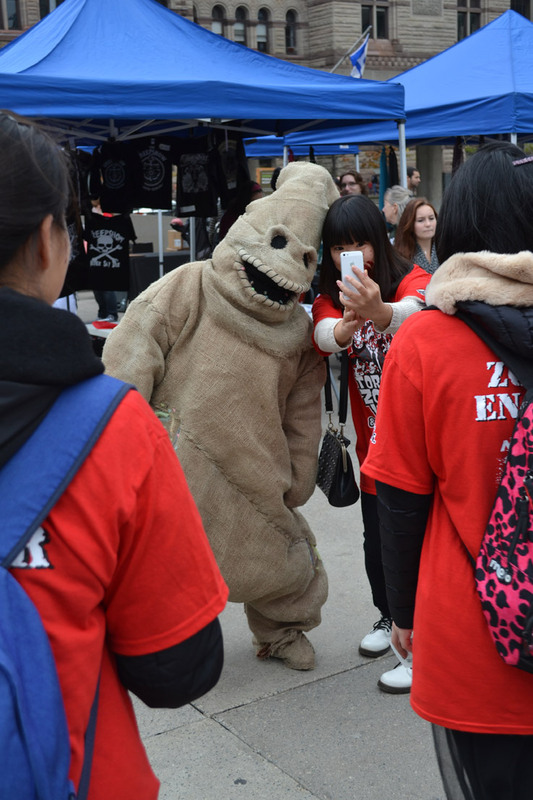 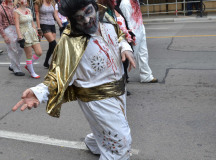 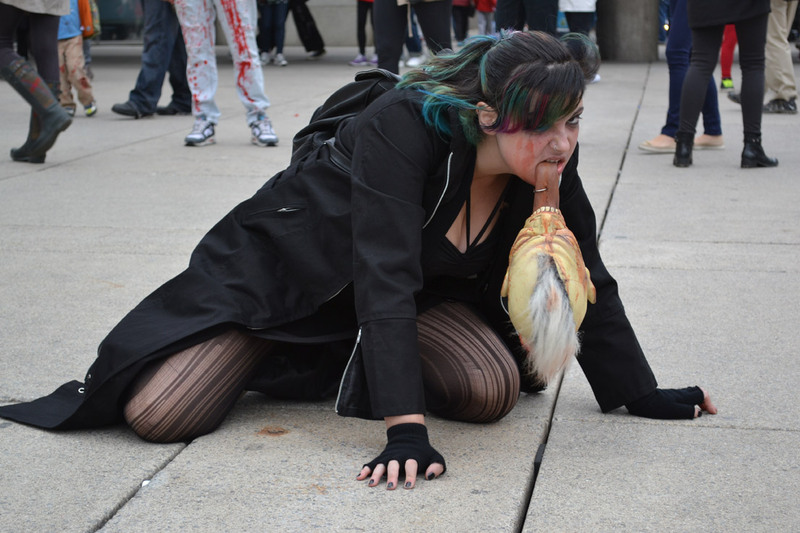 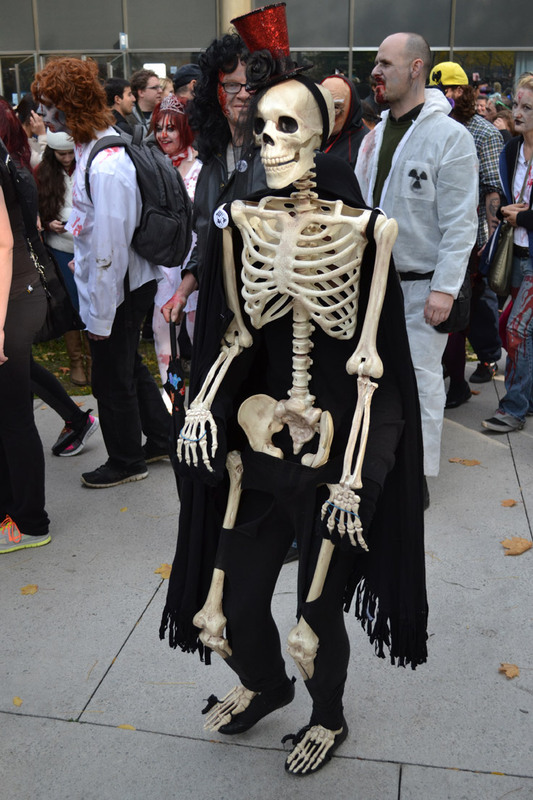 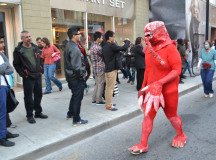 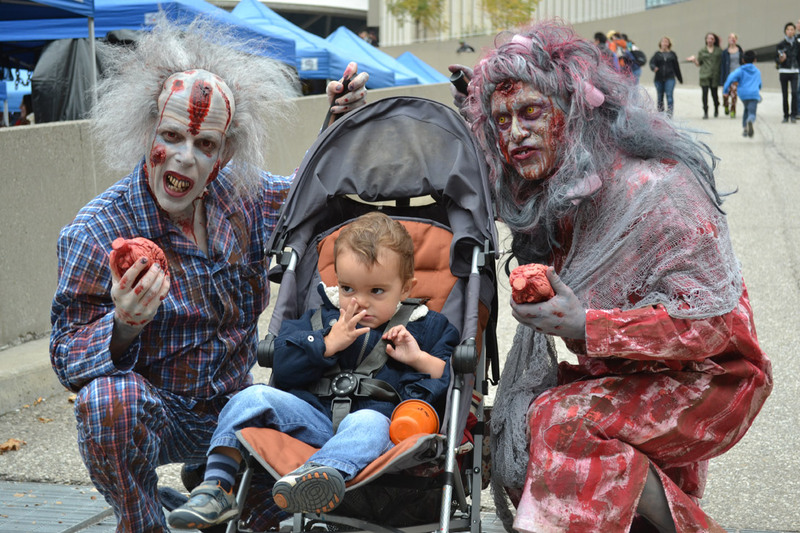 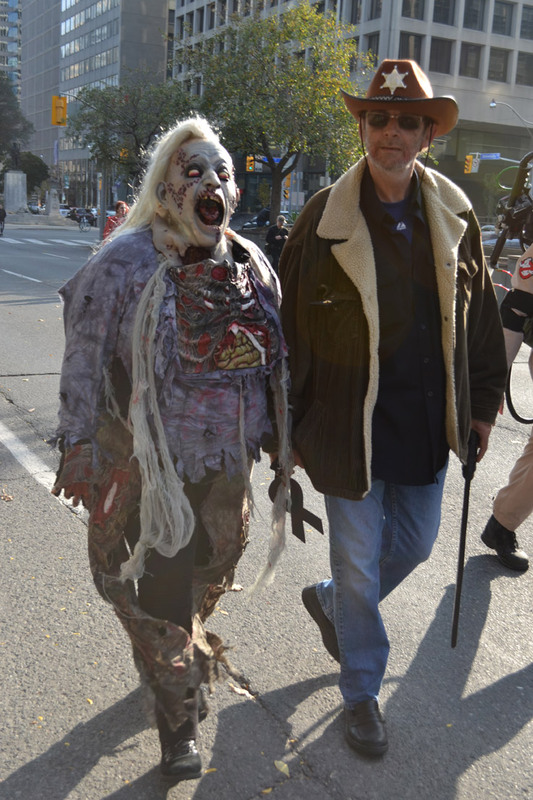 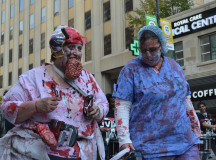 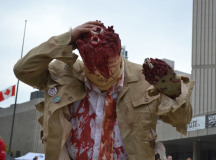 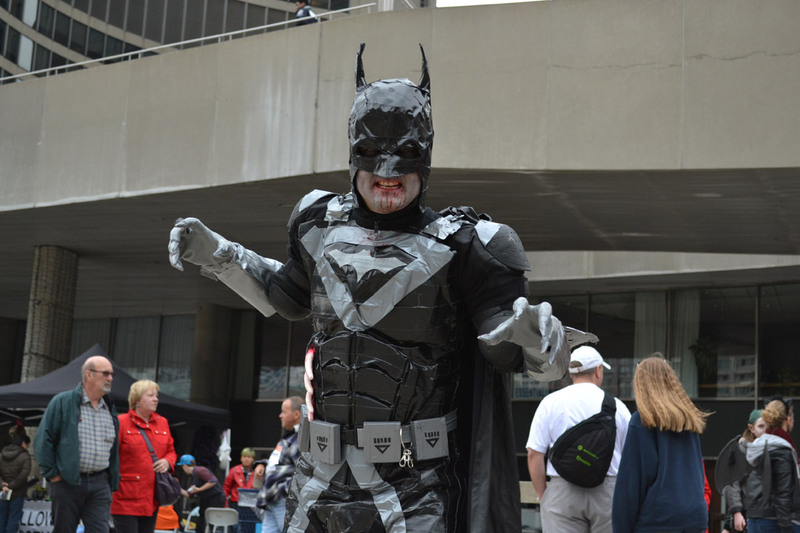 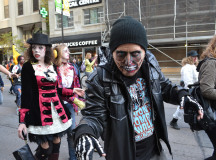 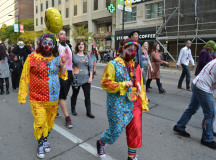 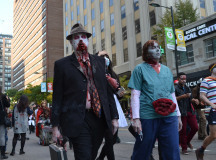 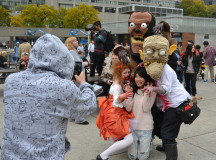 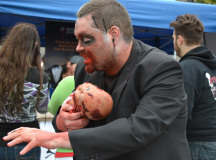 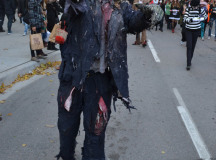 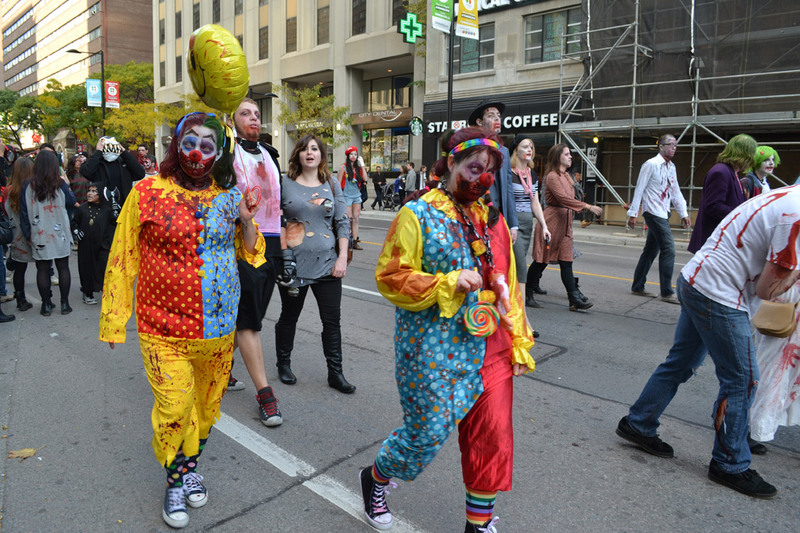 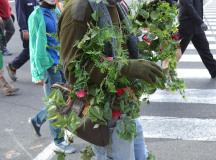 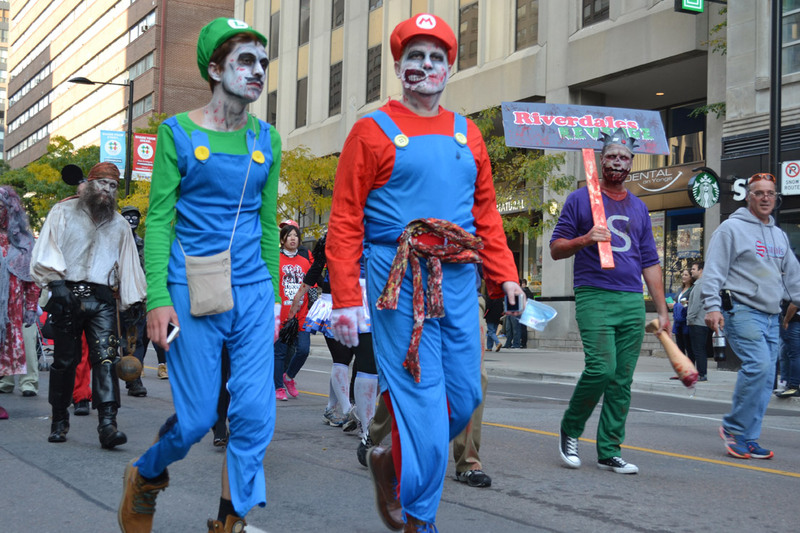 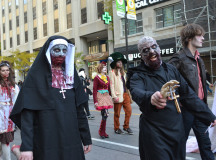 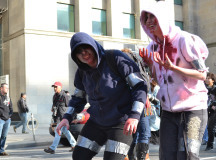 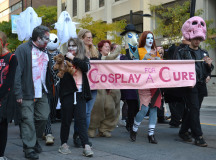 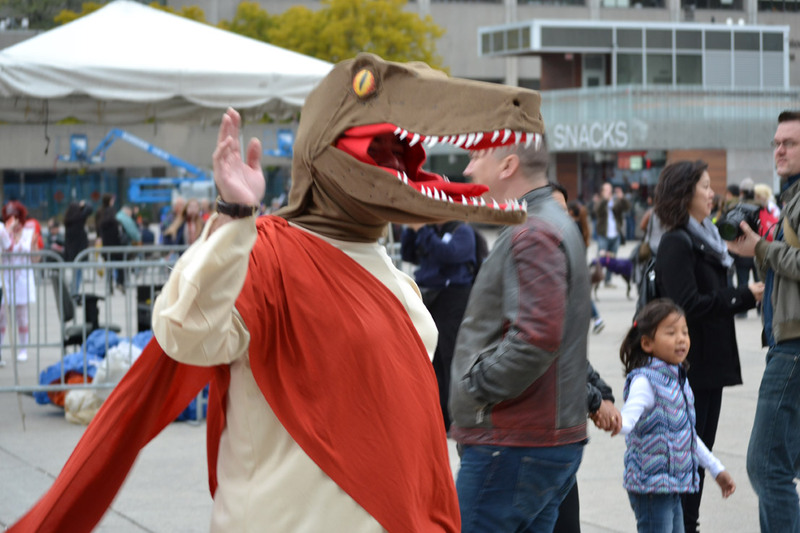 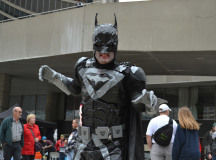 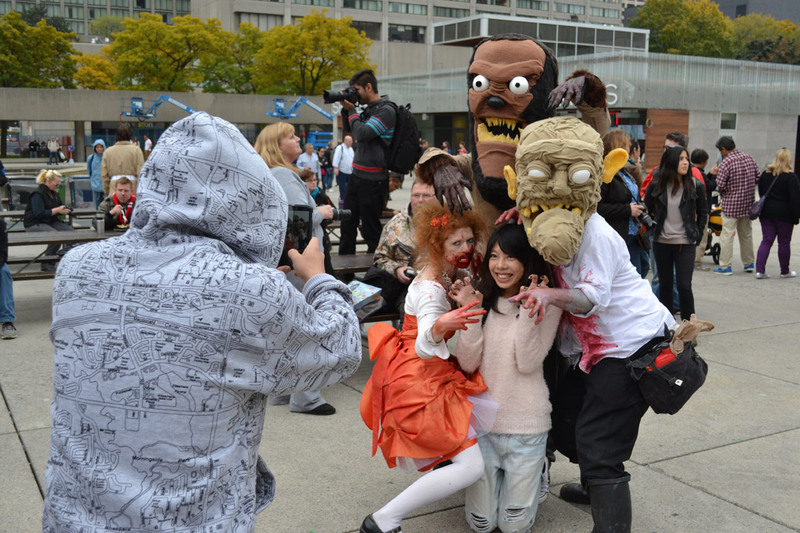 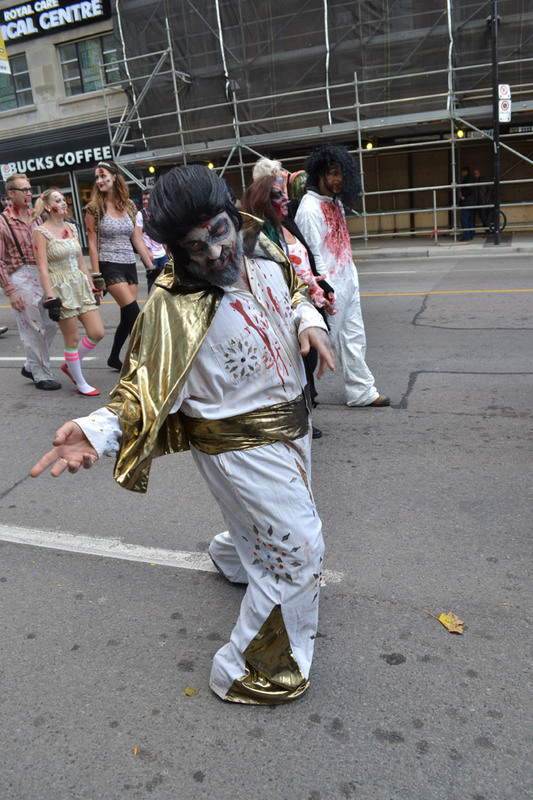 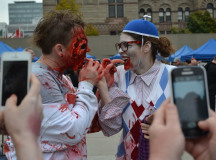 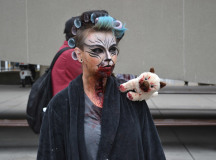 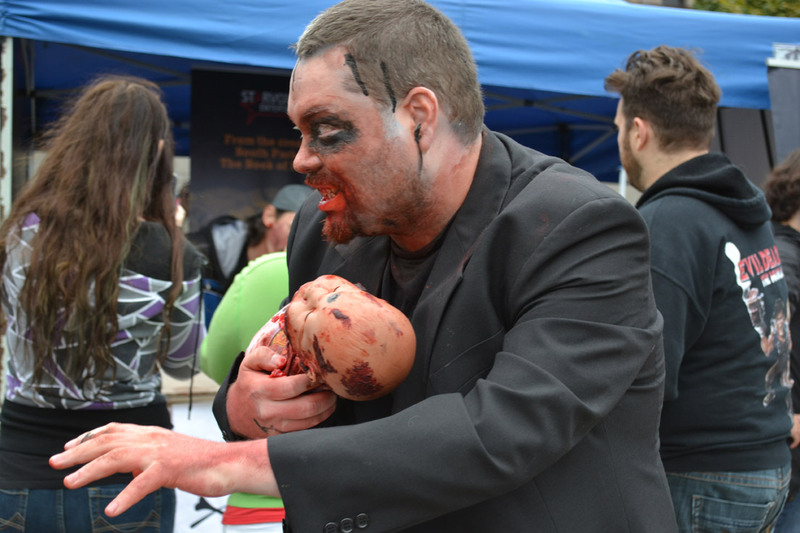 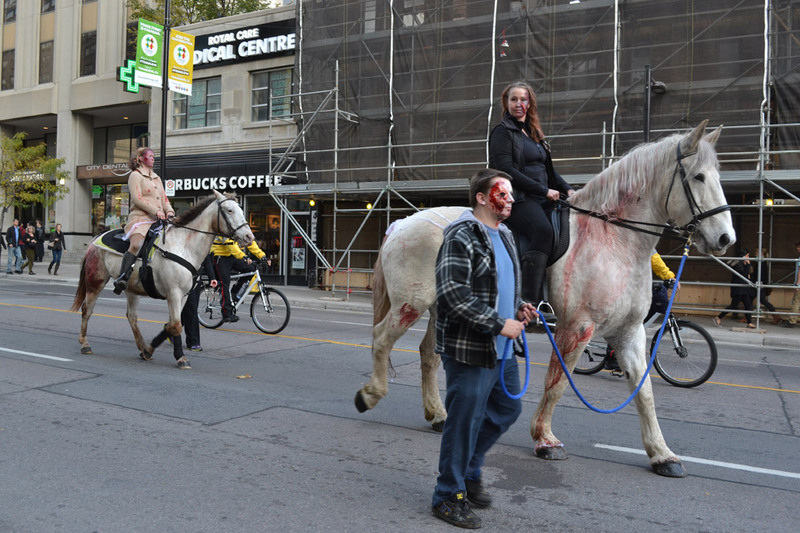 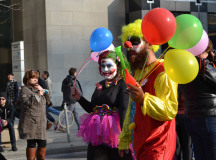 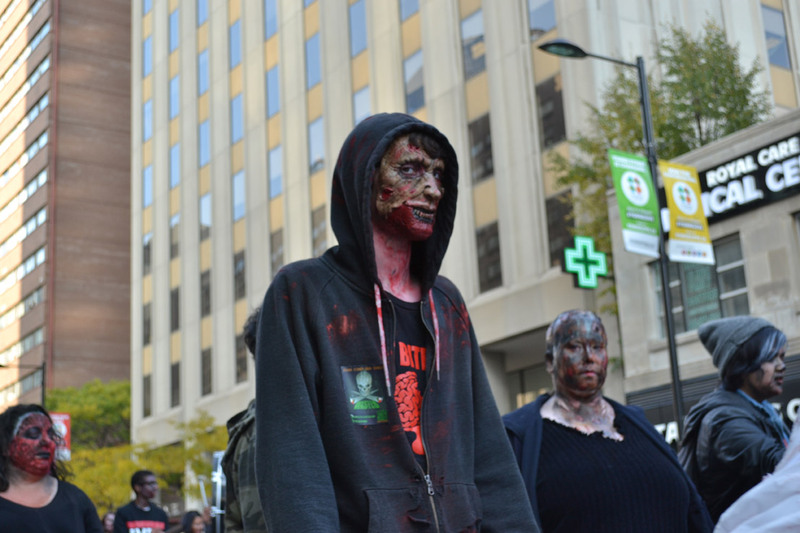 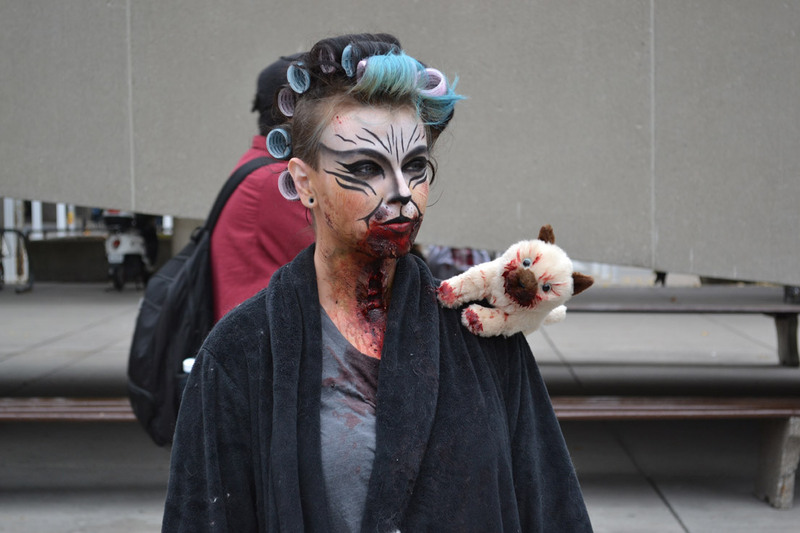 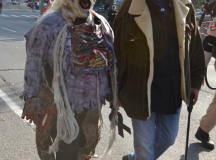 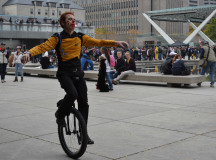 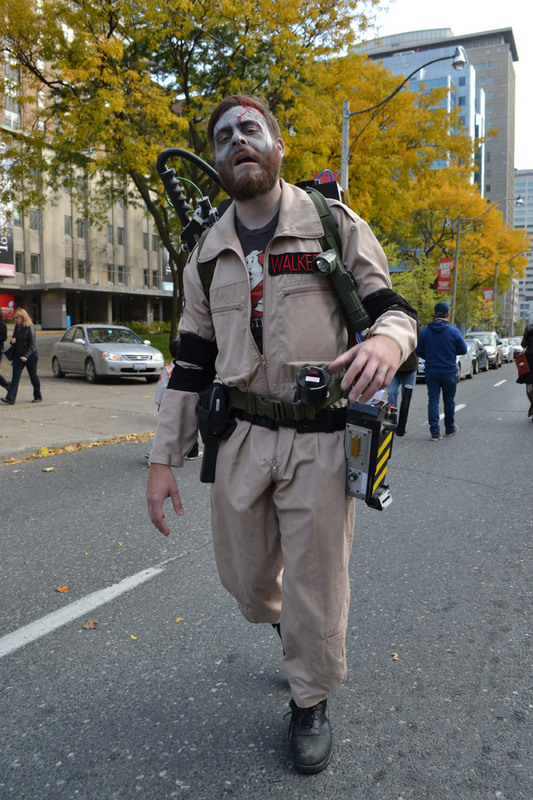 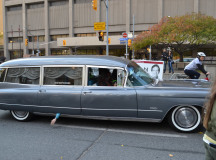 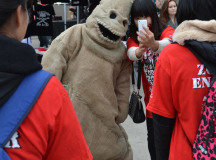 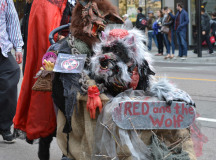 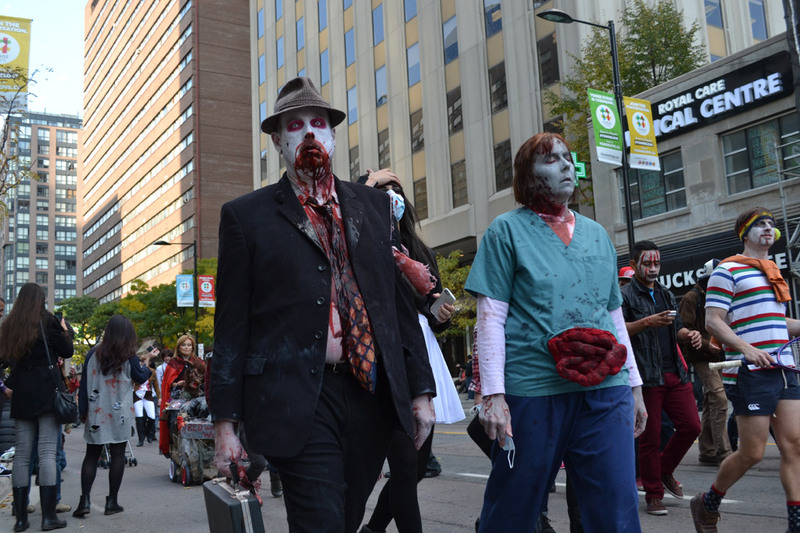 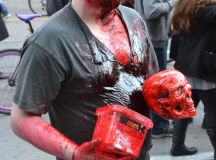 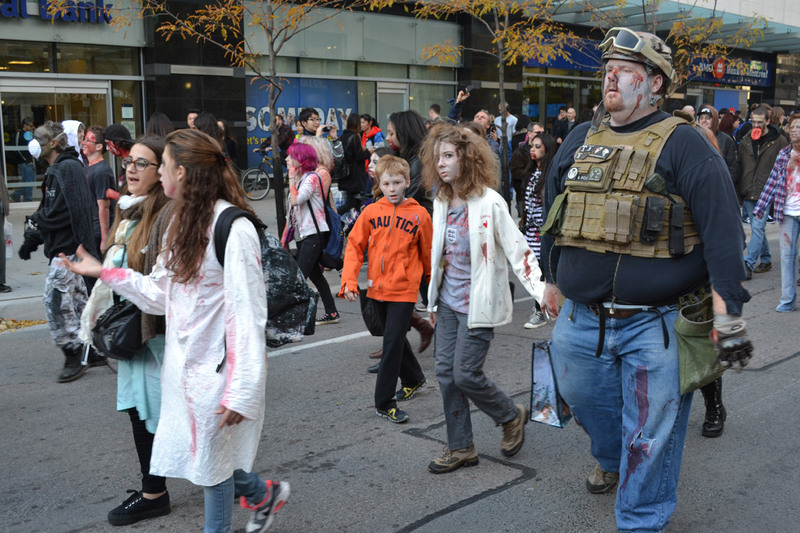 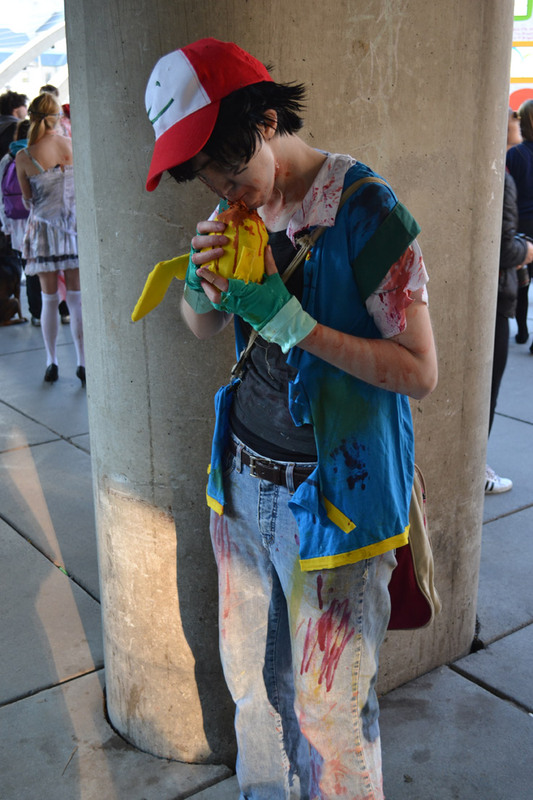 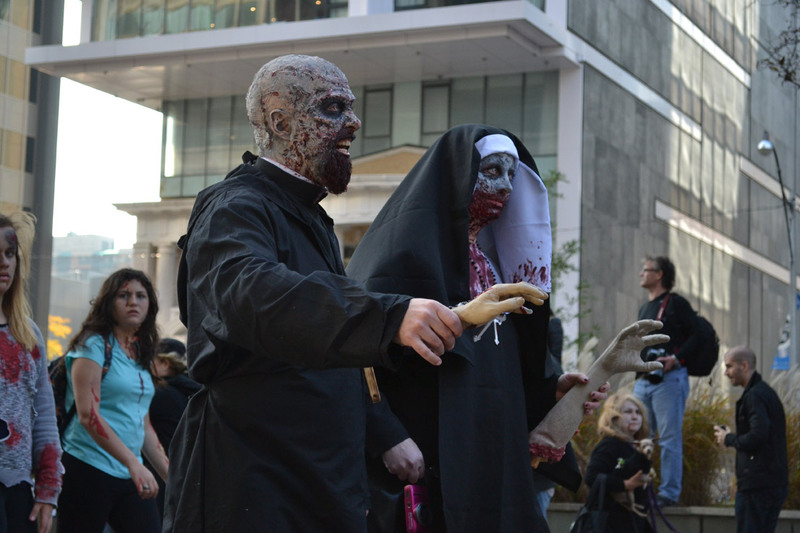 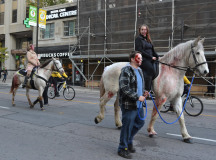 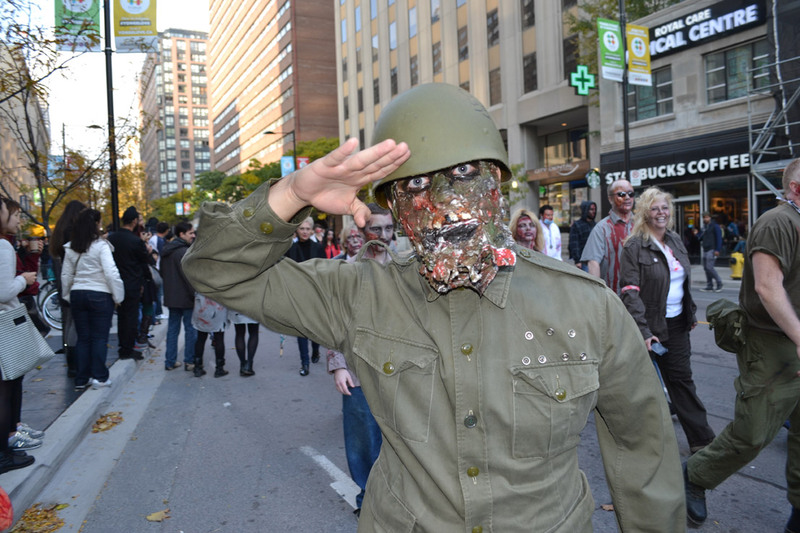 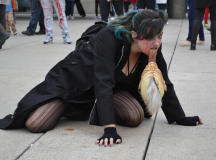 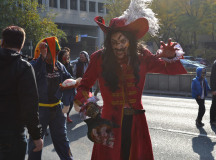 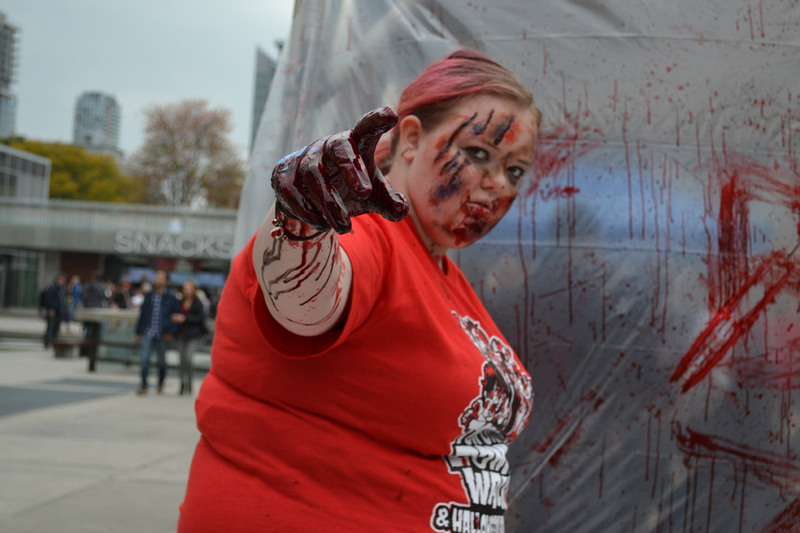 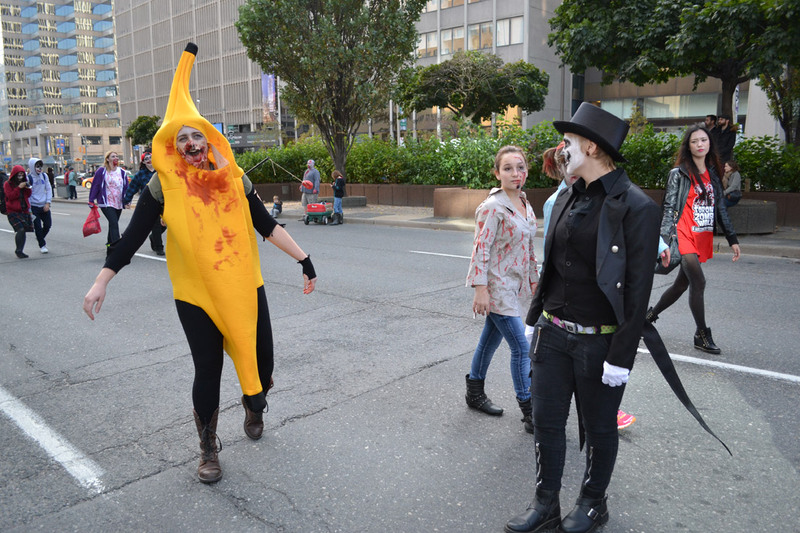 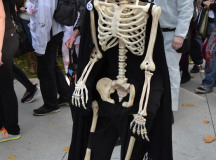 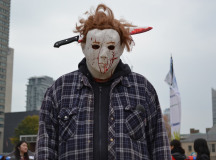 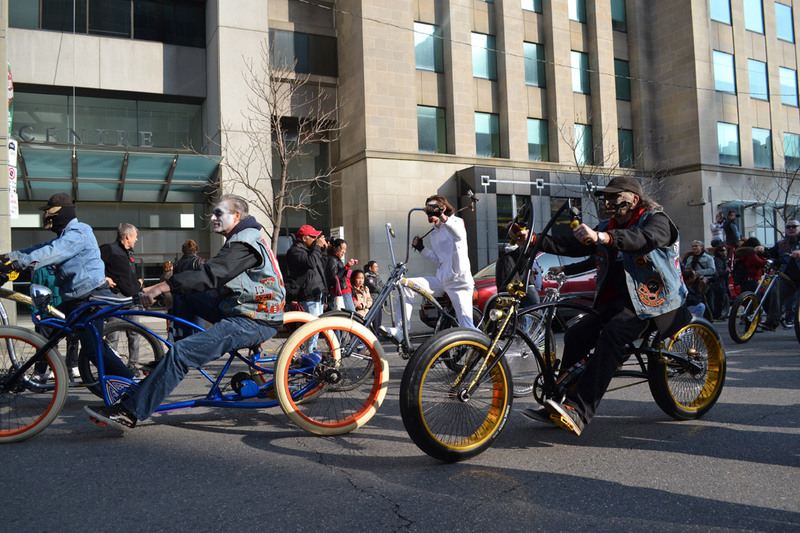 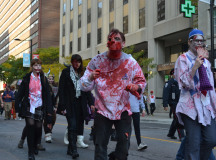 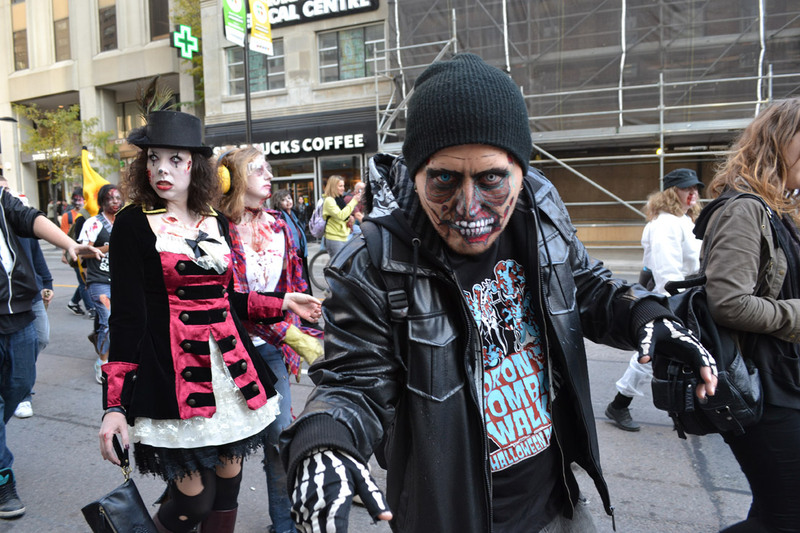 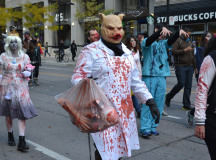 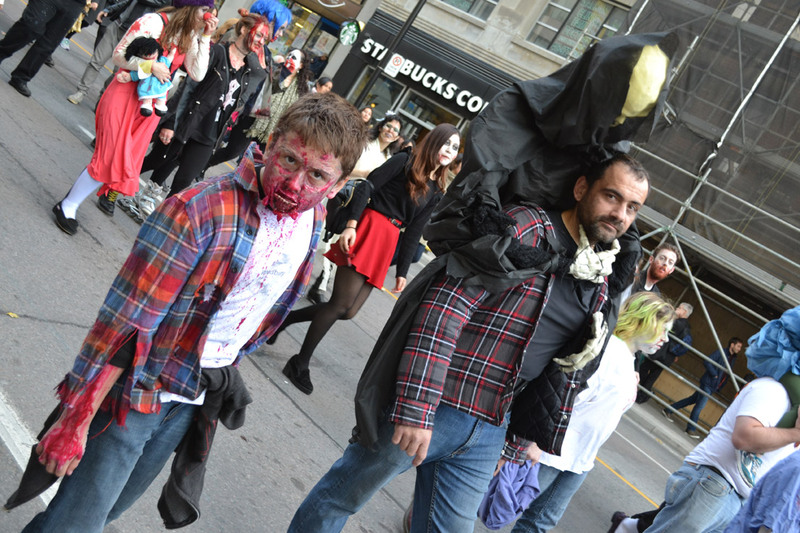 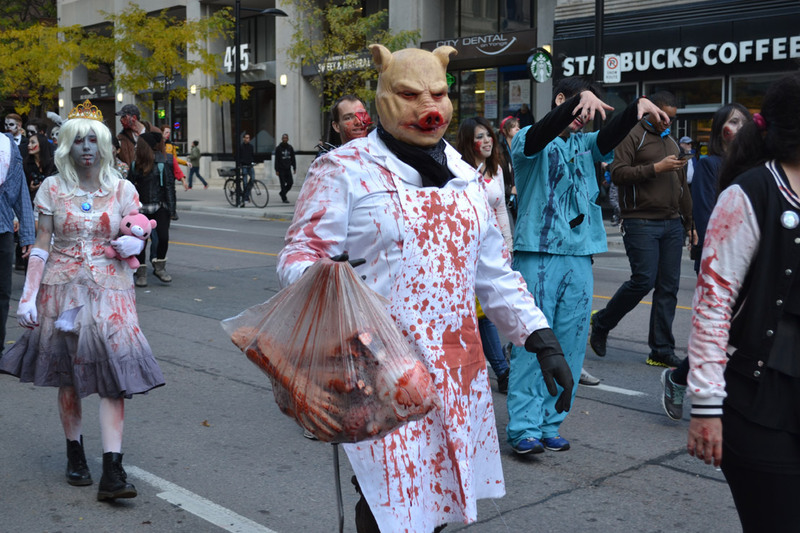 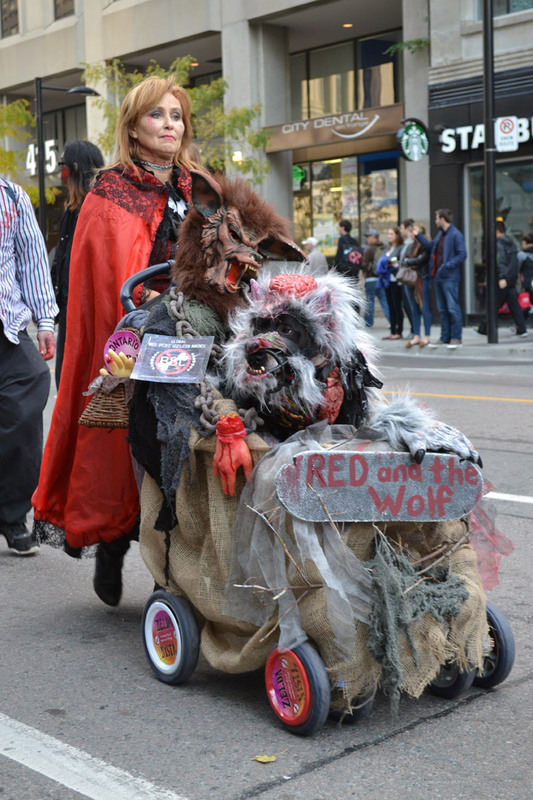 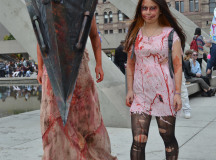 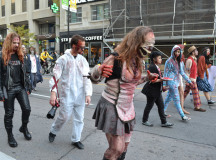 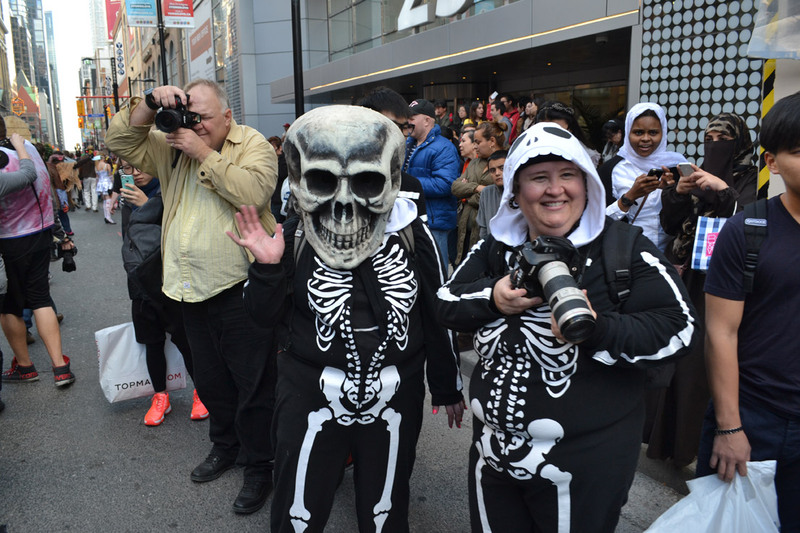 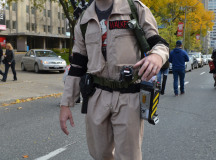 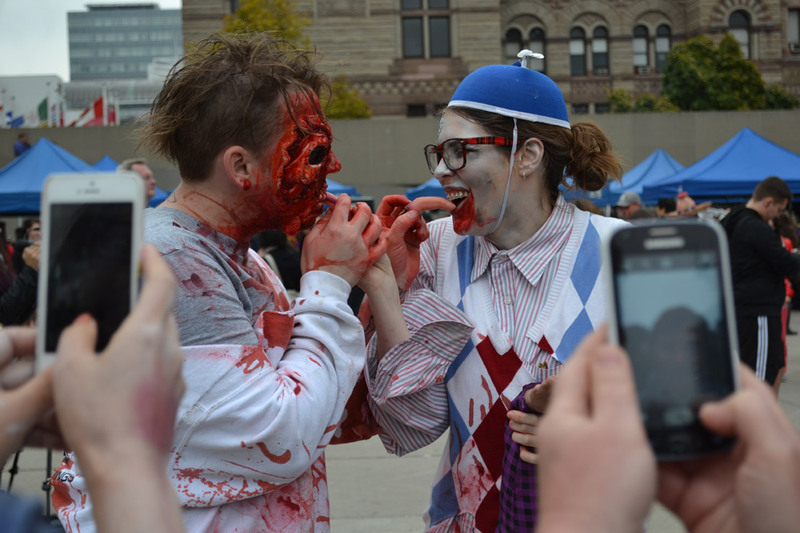 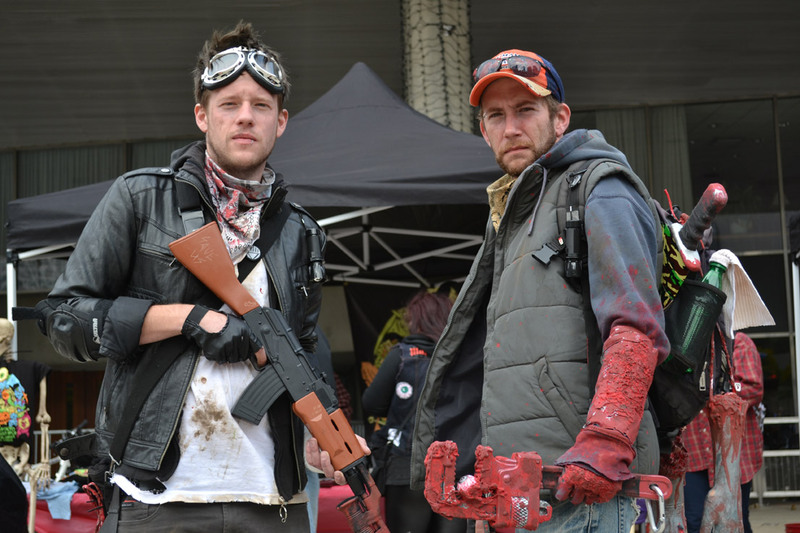 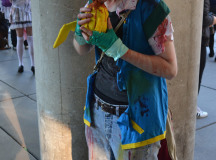 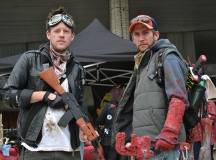 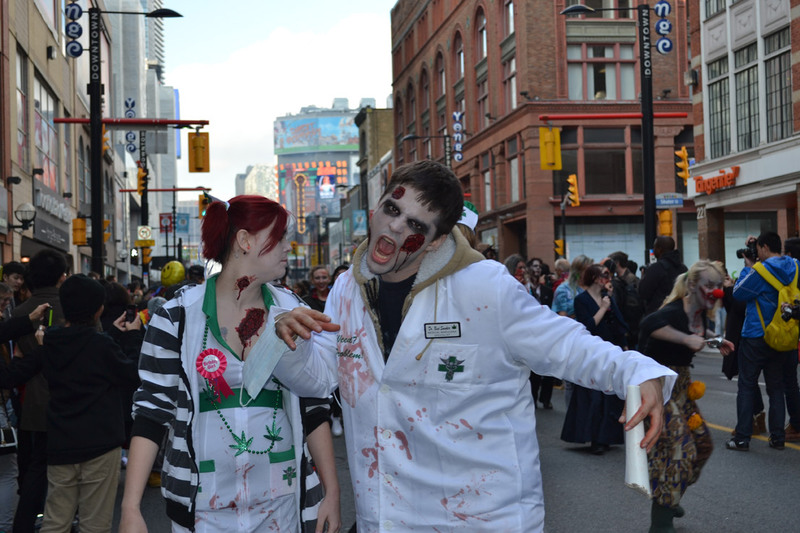 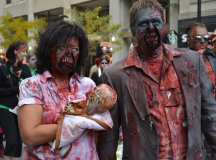 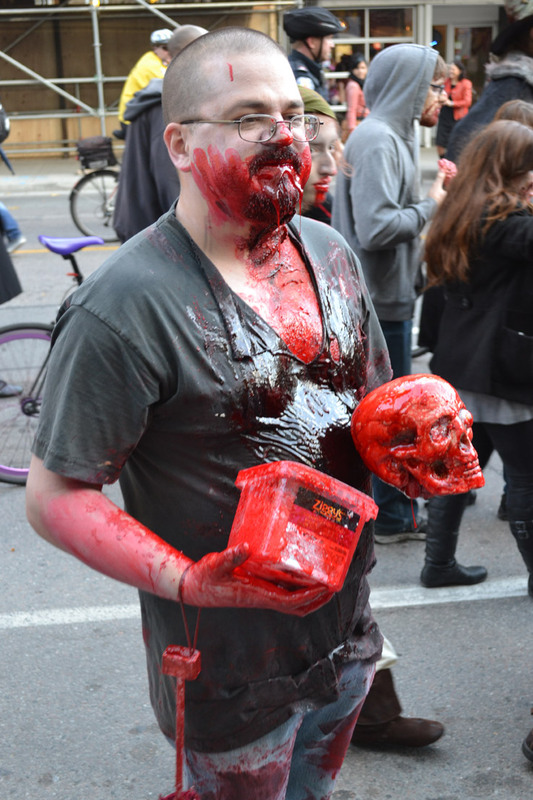 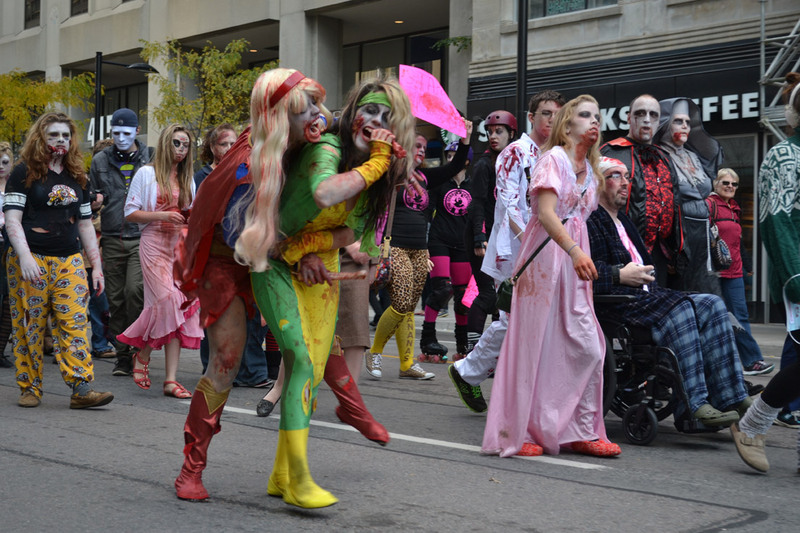 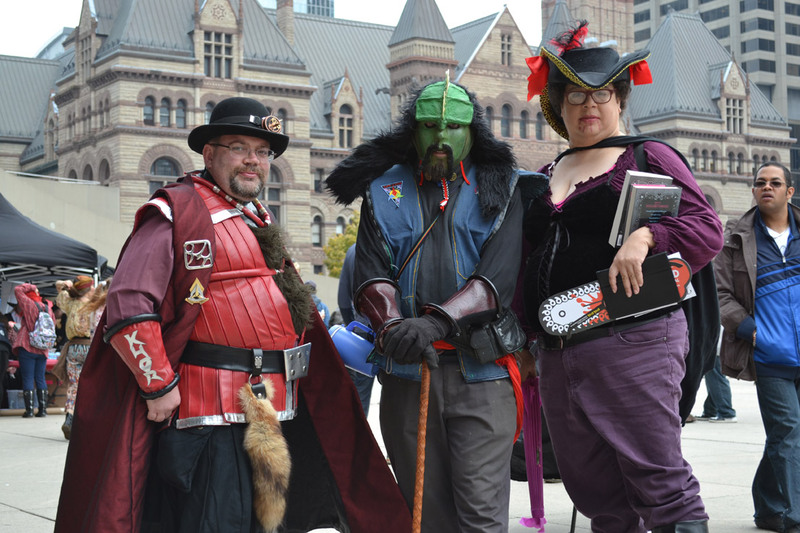 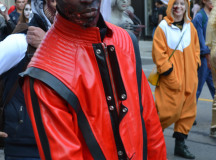 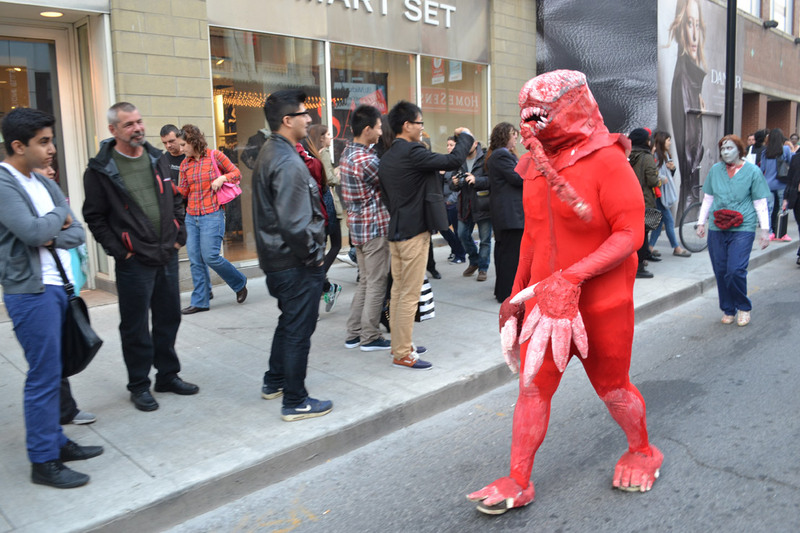 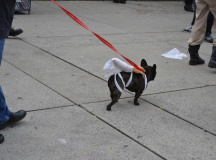 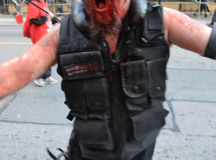 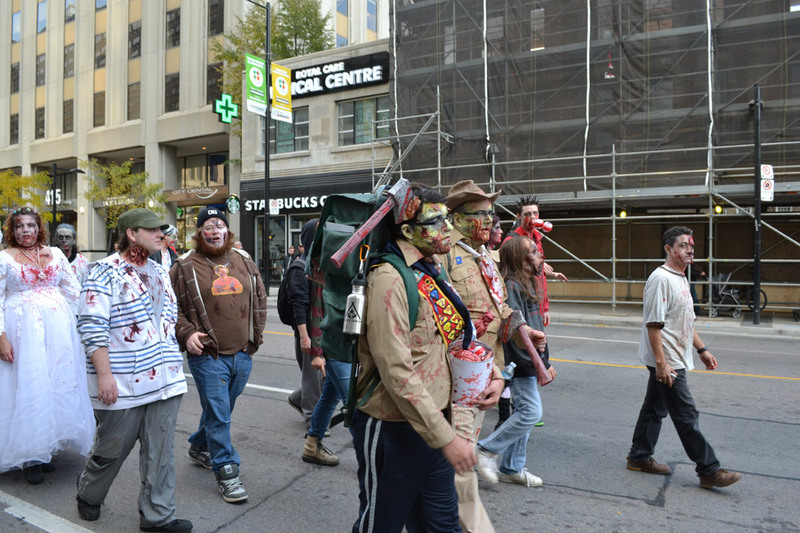 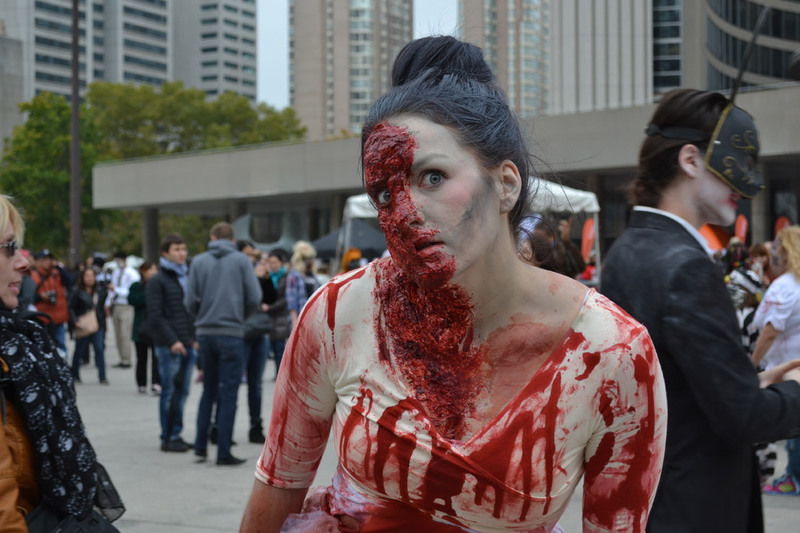 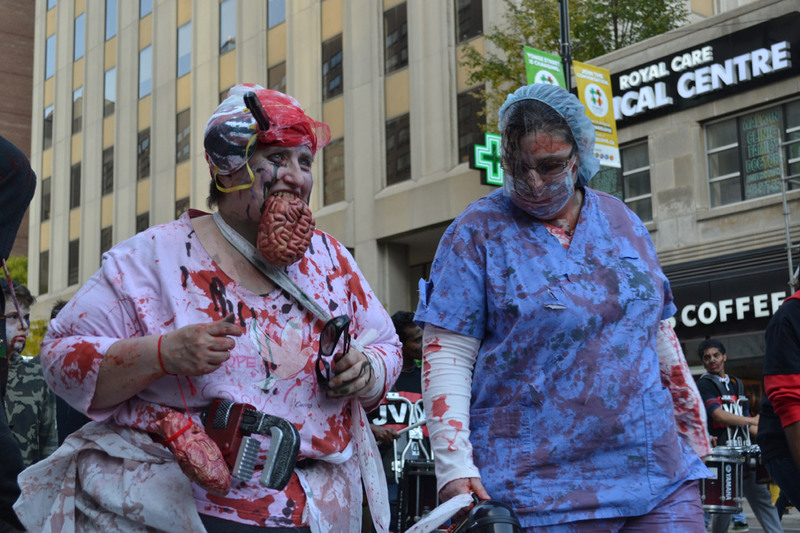 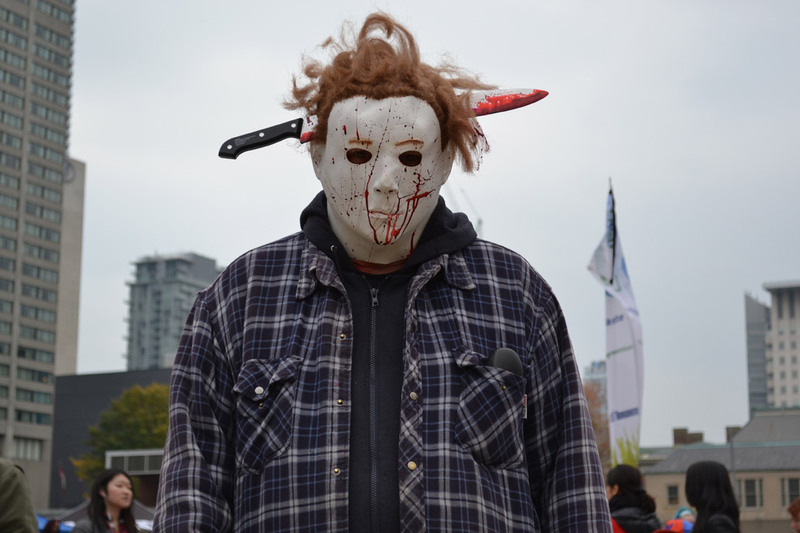 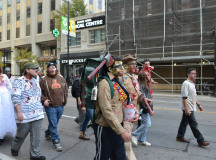 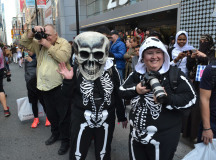 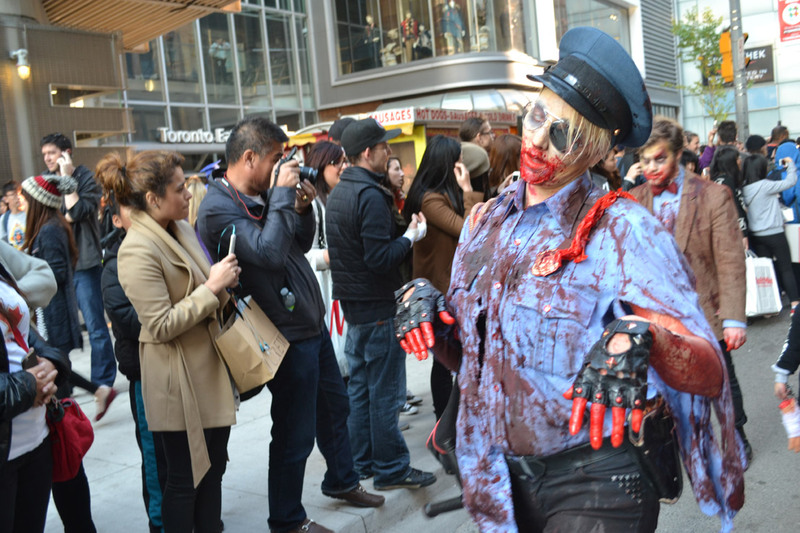 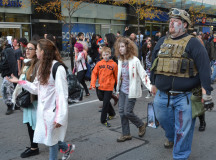 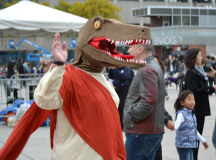 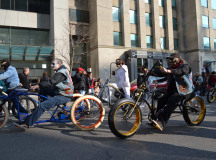 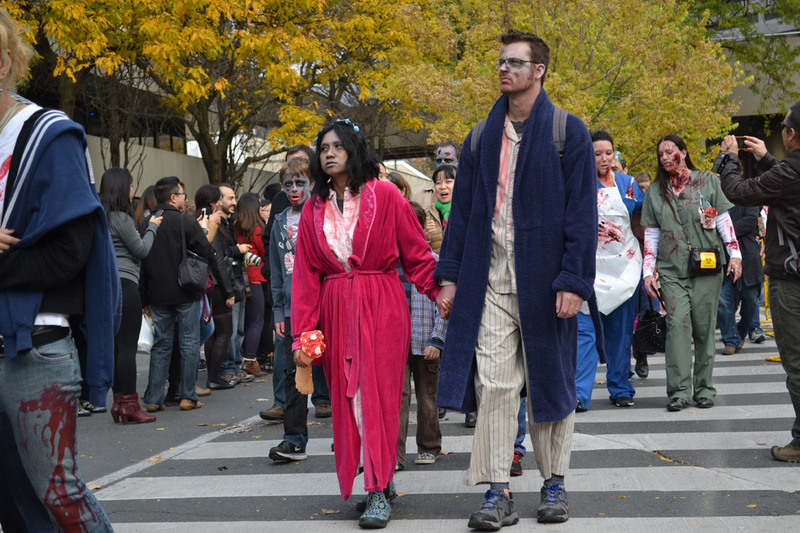 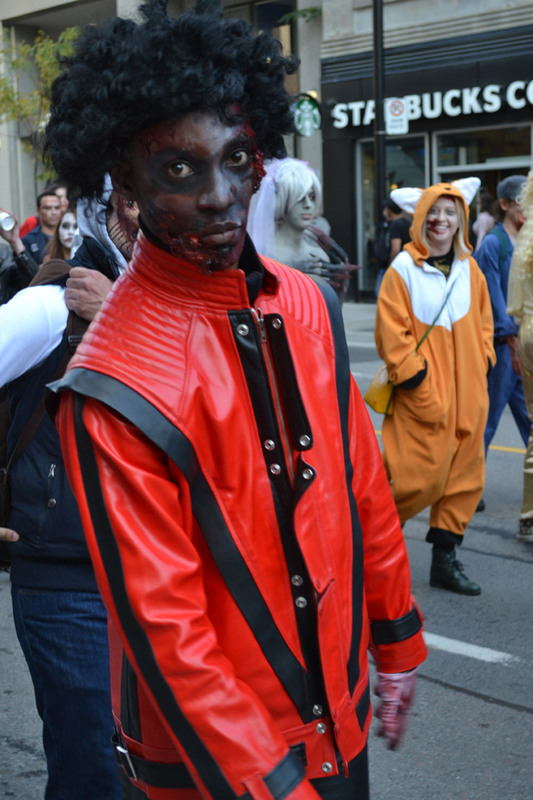 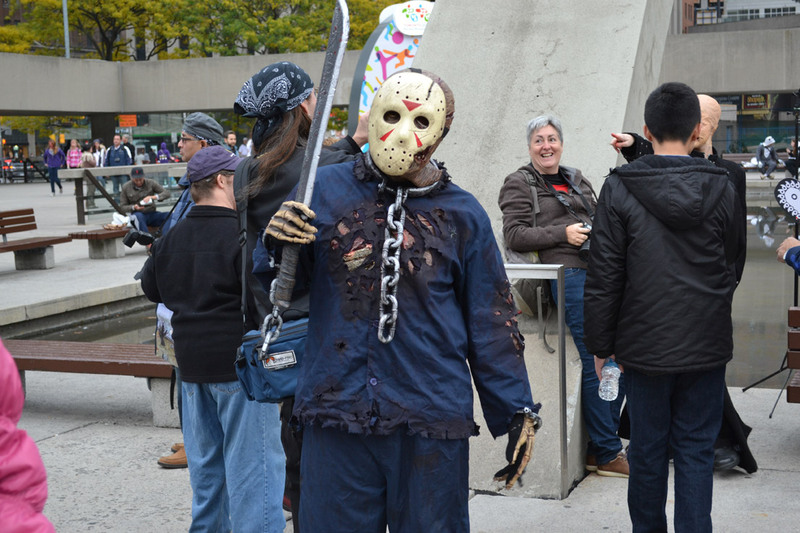 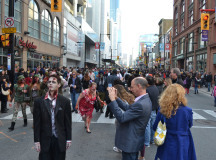 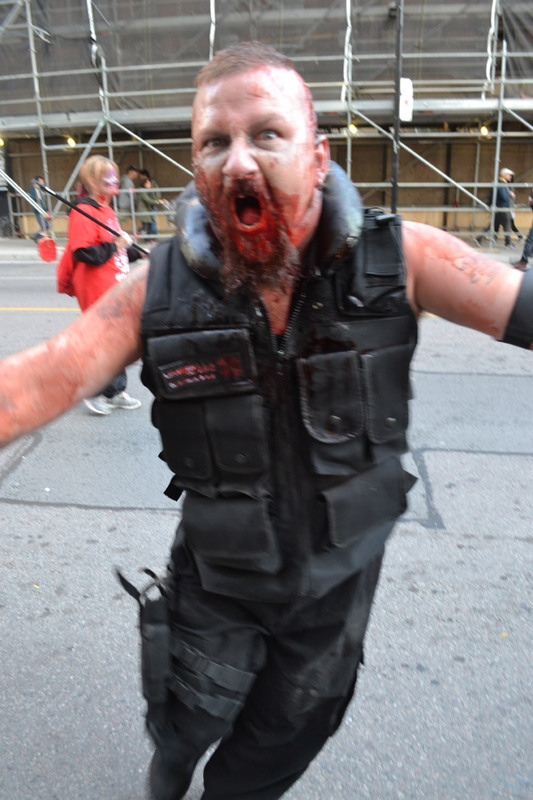 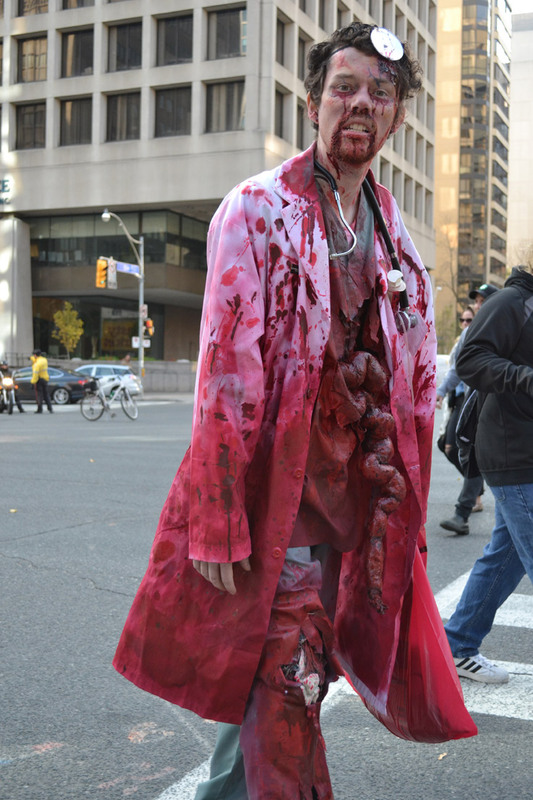 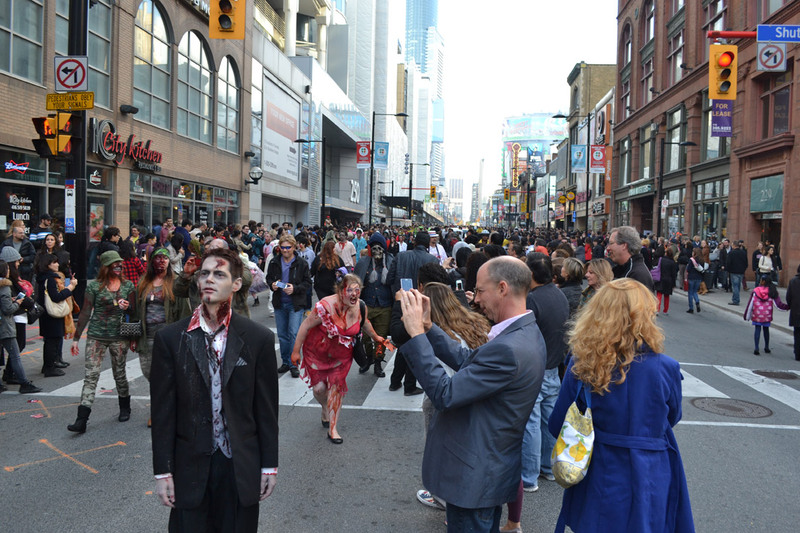 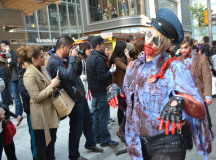 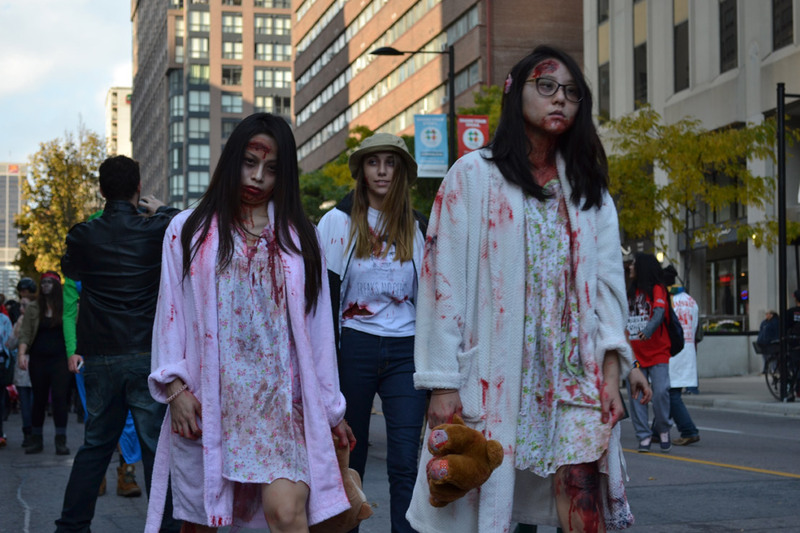 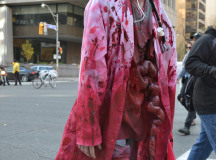 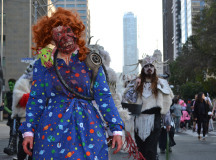 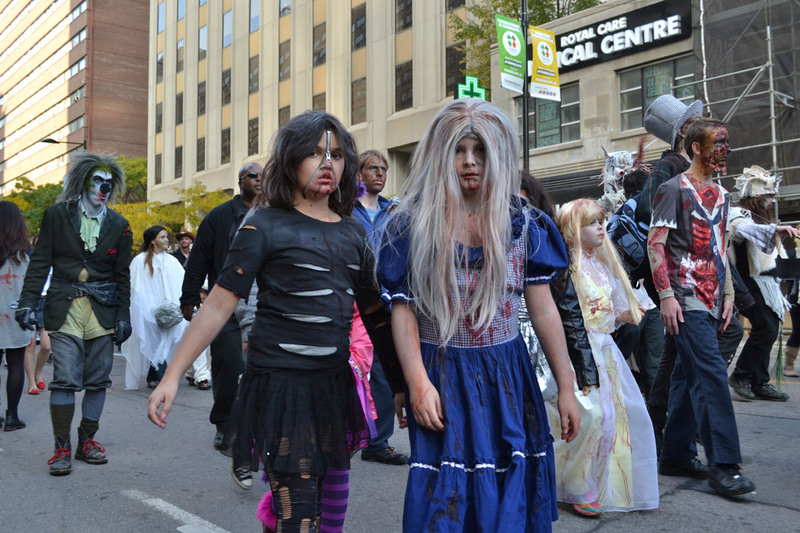 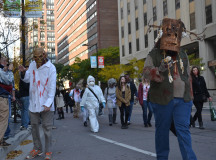 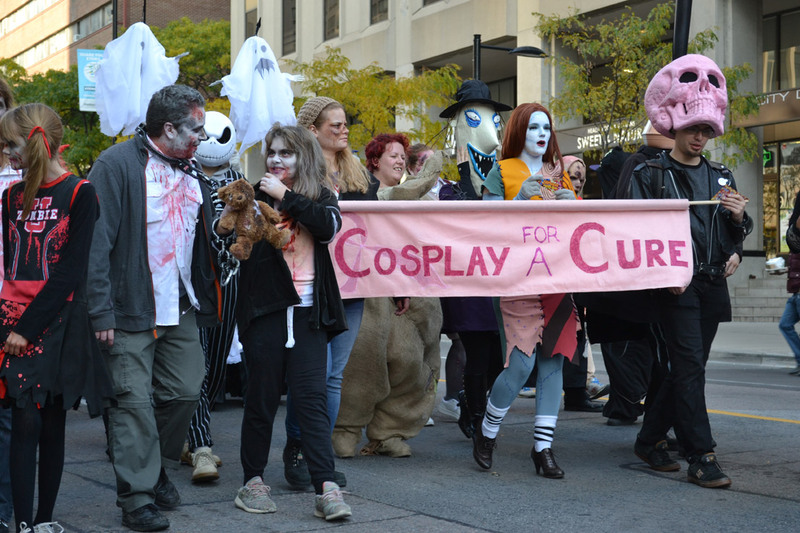 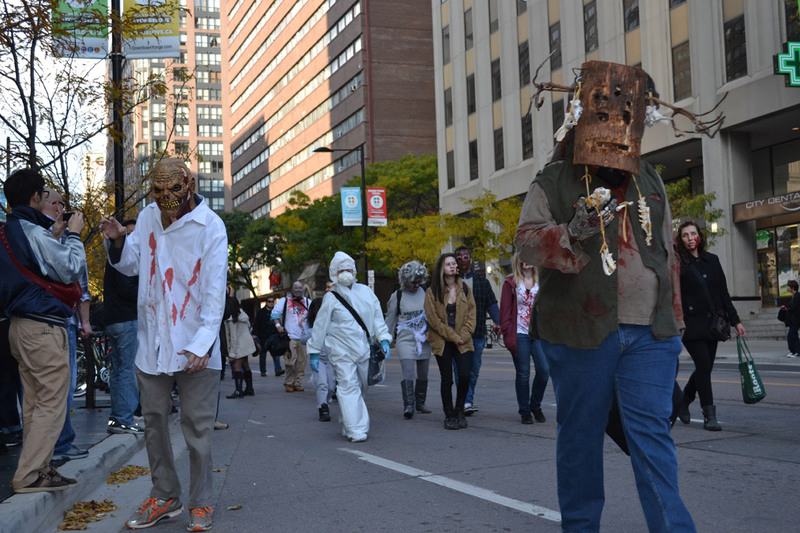 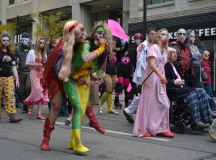 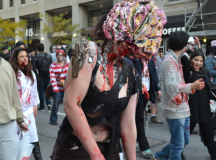 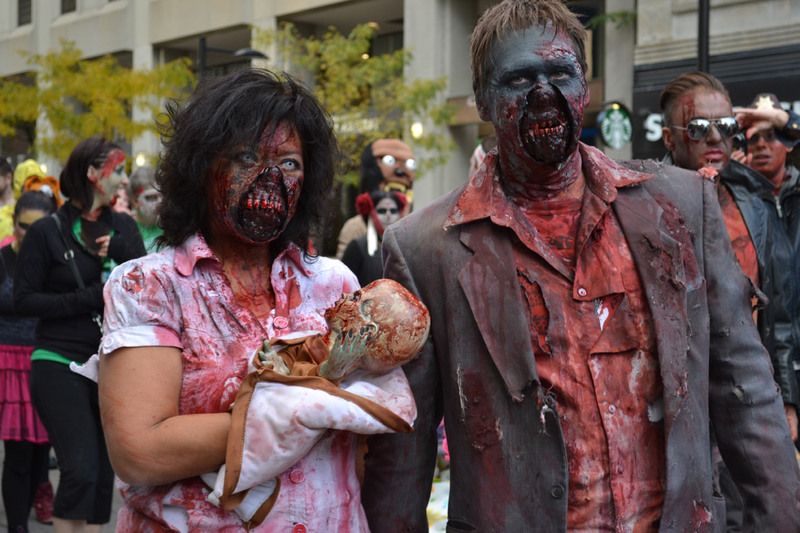 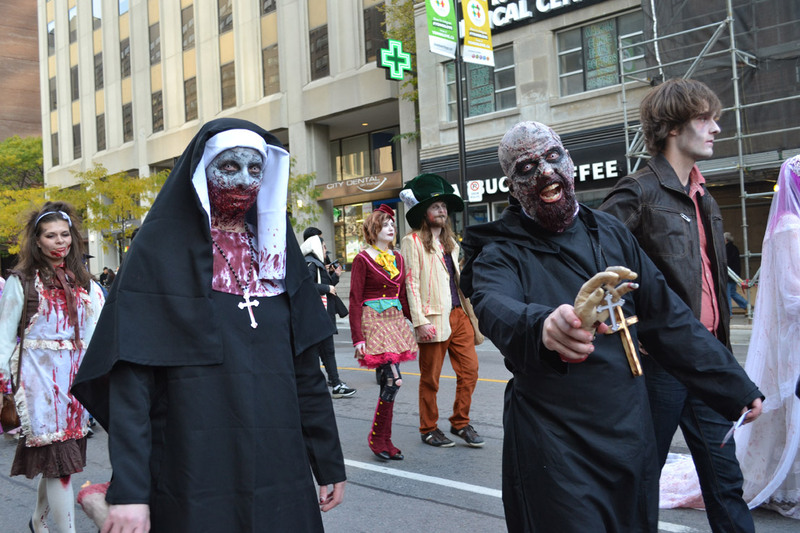 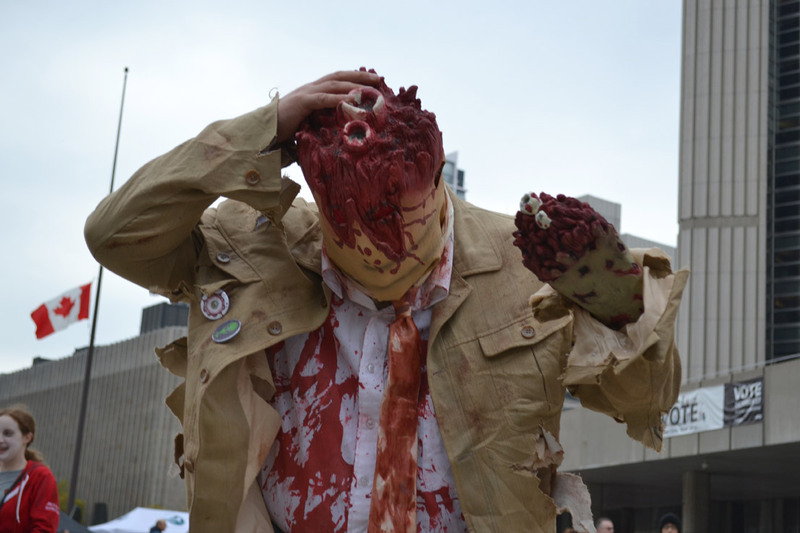 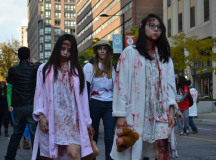 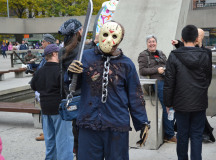 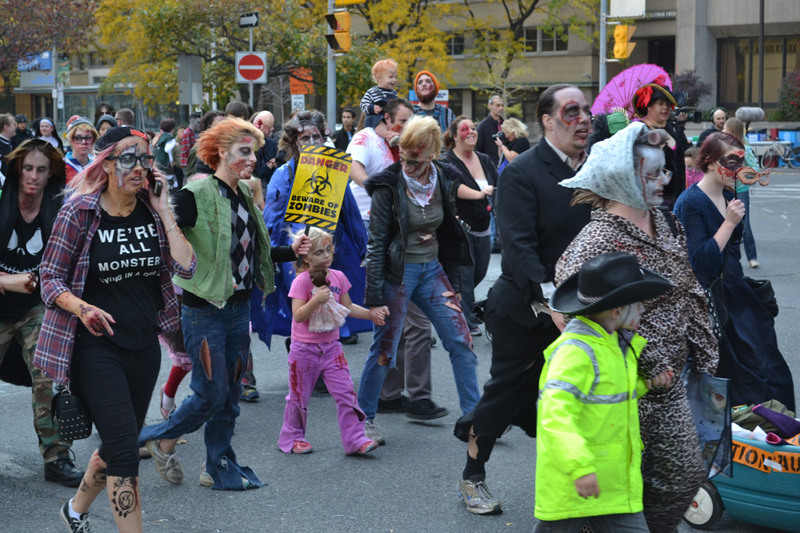 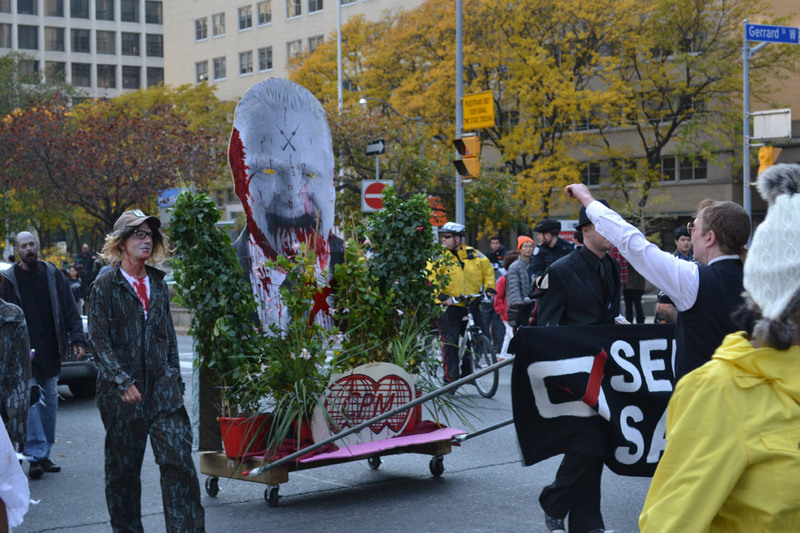 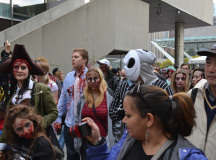 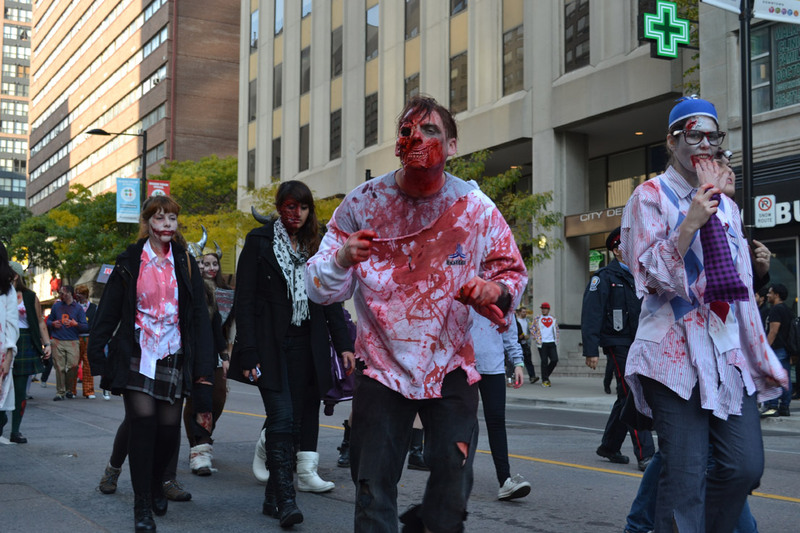 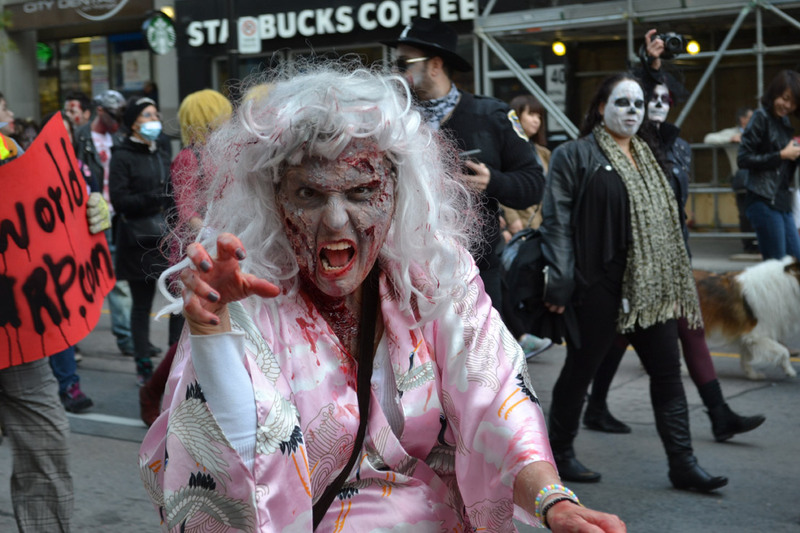 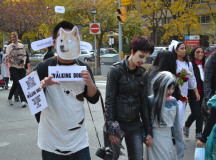 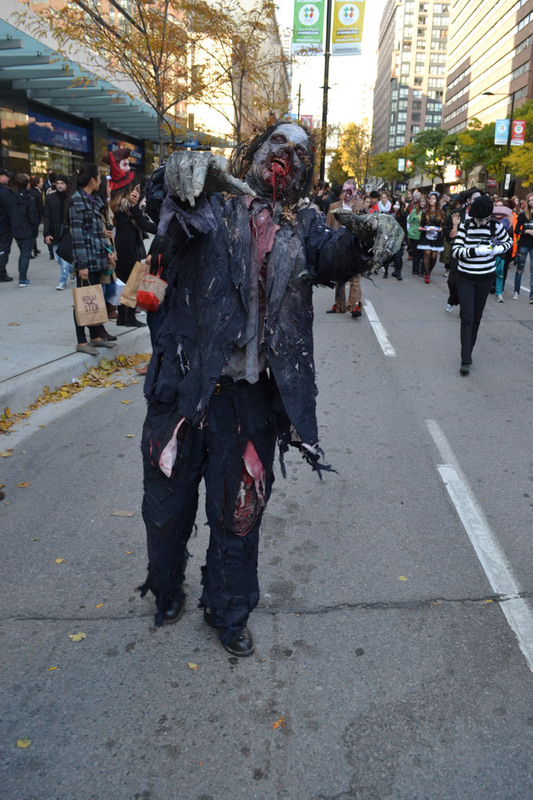 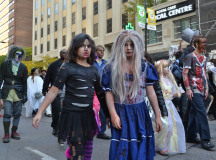 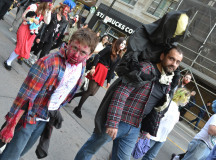 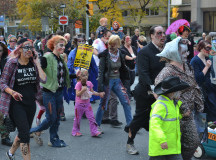 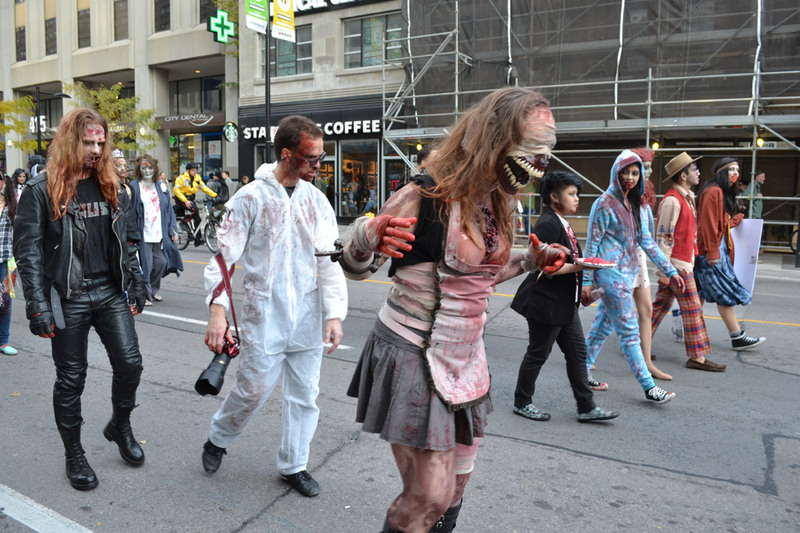 The event features a marketplace with everything a horror fan could ever want, zombie make up artistry, a costume contest, and the main event, a parade of zombies filling Toronto’s downtown core. 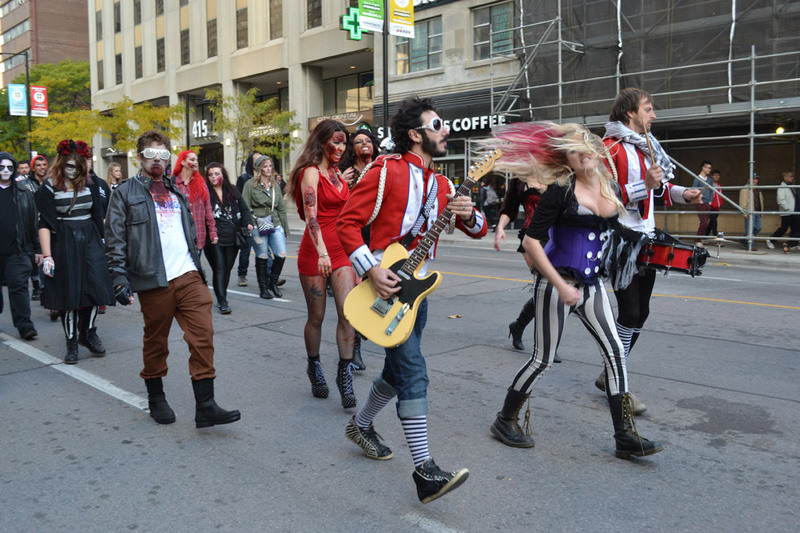 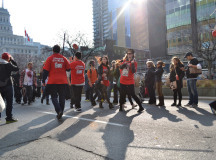 Following the walk, attendees are treated to a free concert and numerous after-parties spread out across the city. 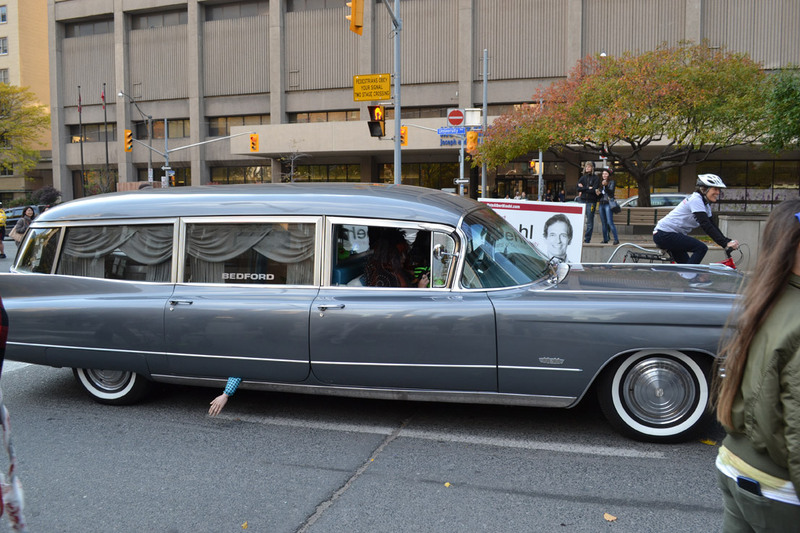 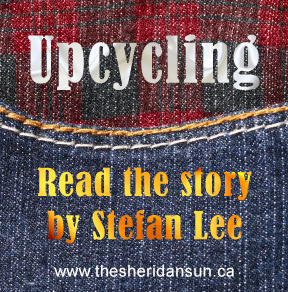 Added by Chris Coutts on October 28, 2014.